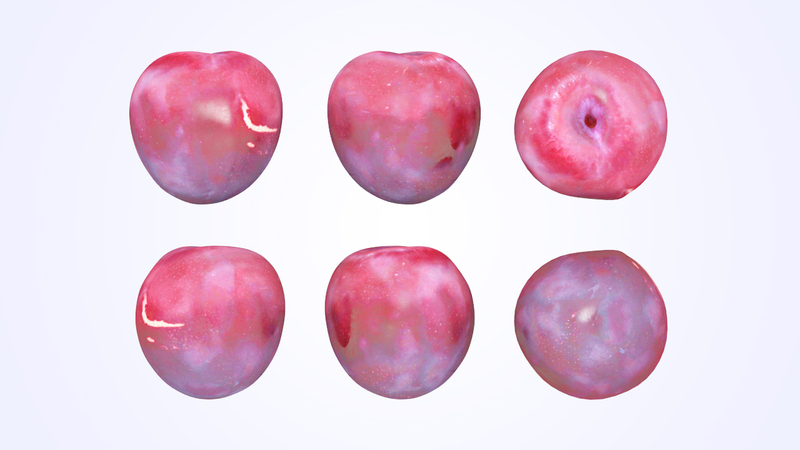 Drag and Drop on the table. 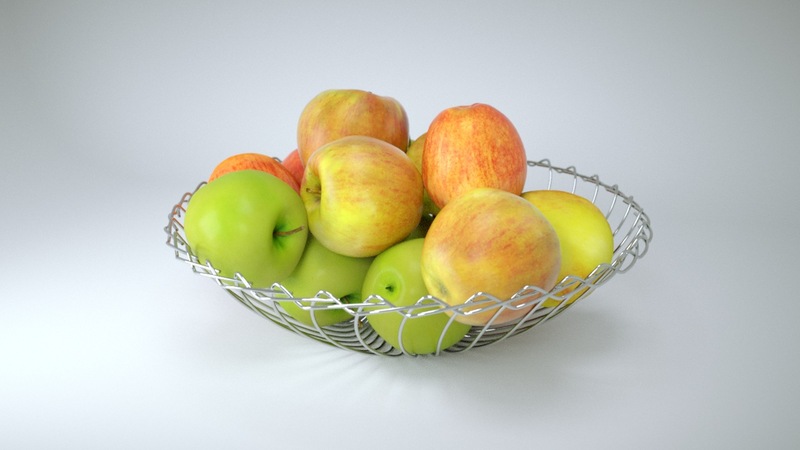 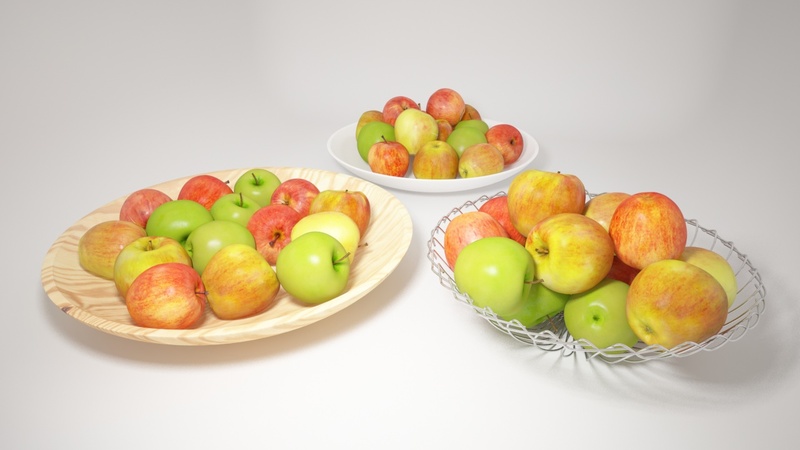 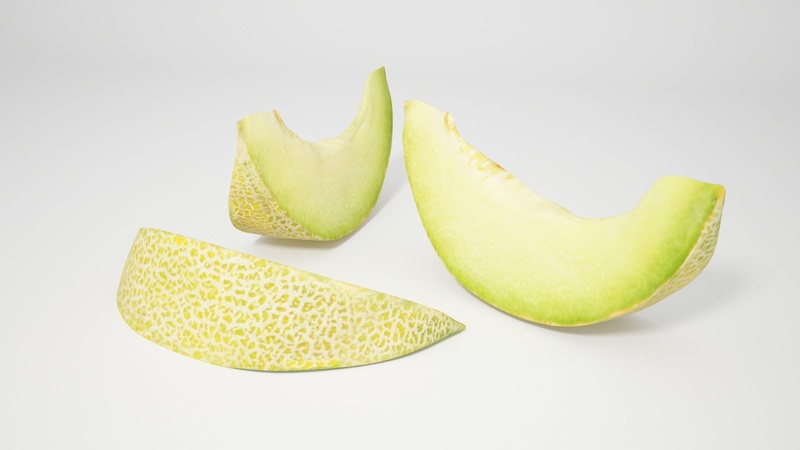 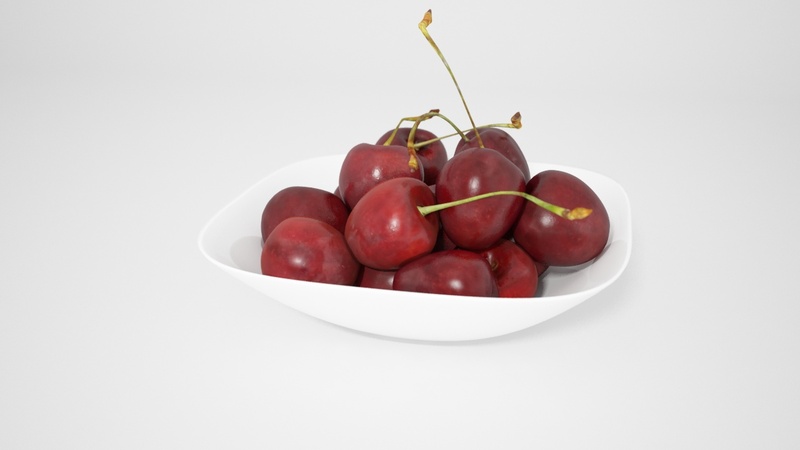 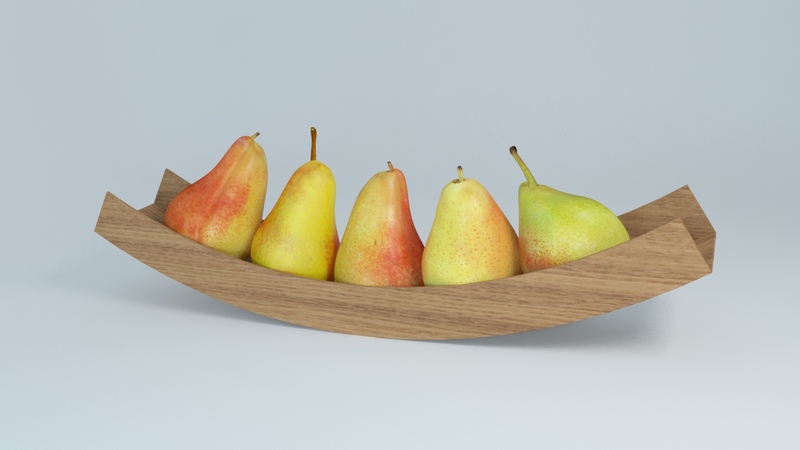 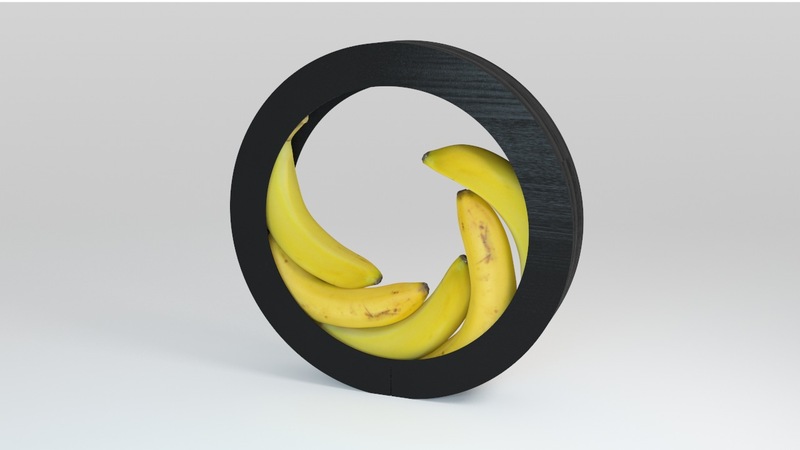 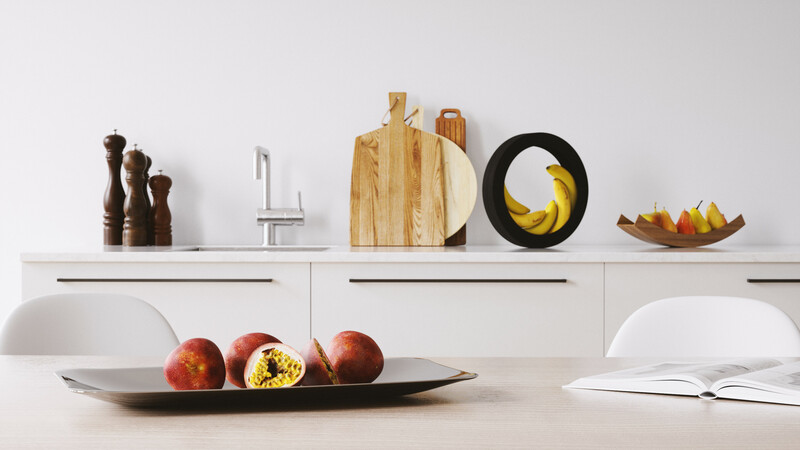 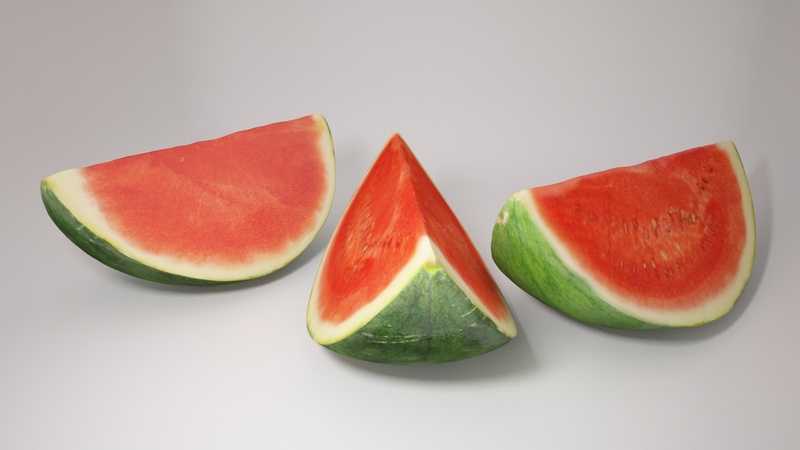 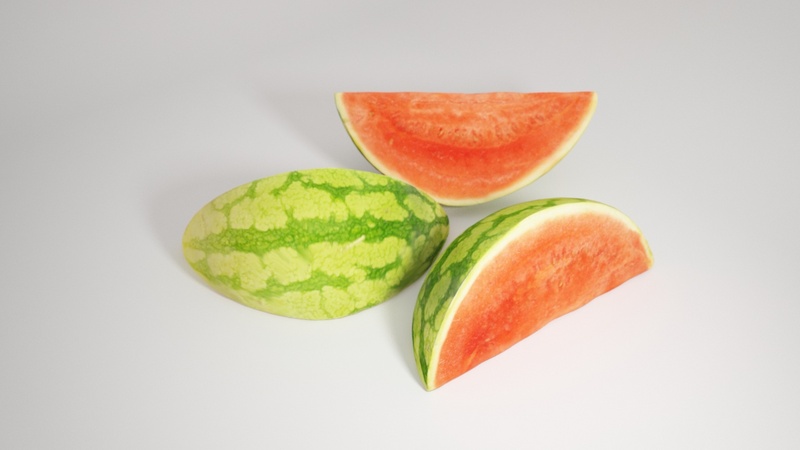 REAL FRUITS is a set of highly realistic fruit models and bowls for advertising or decoration in architecture. 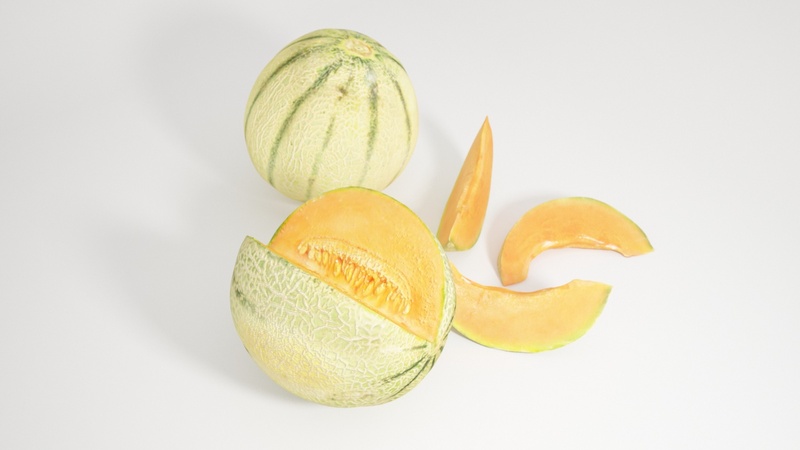 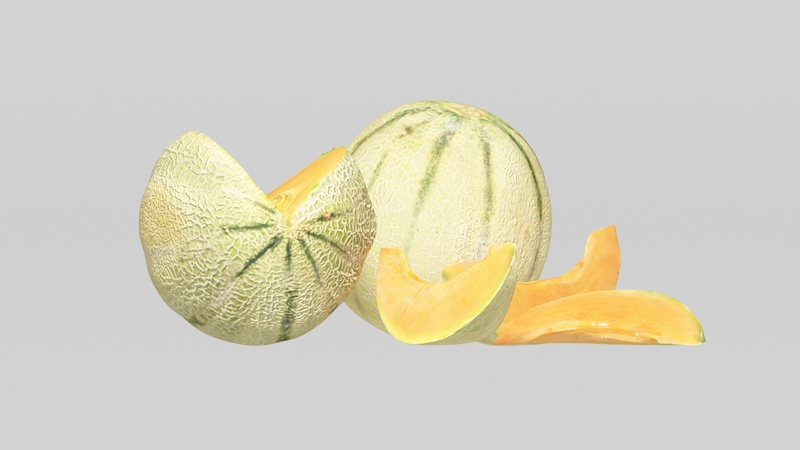 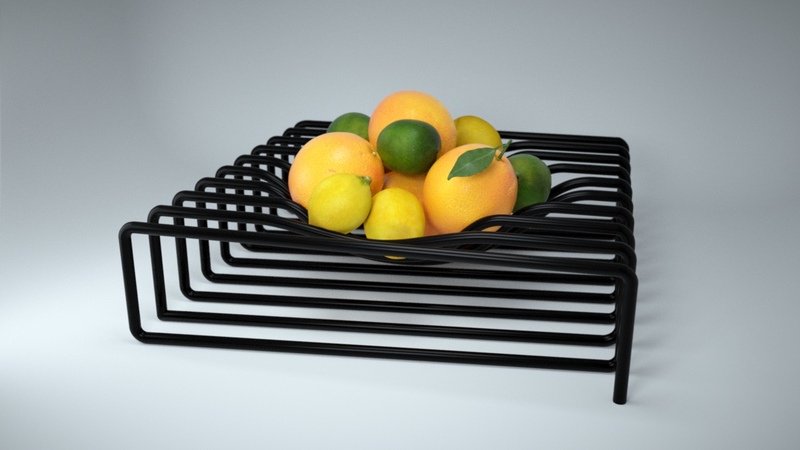 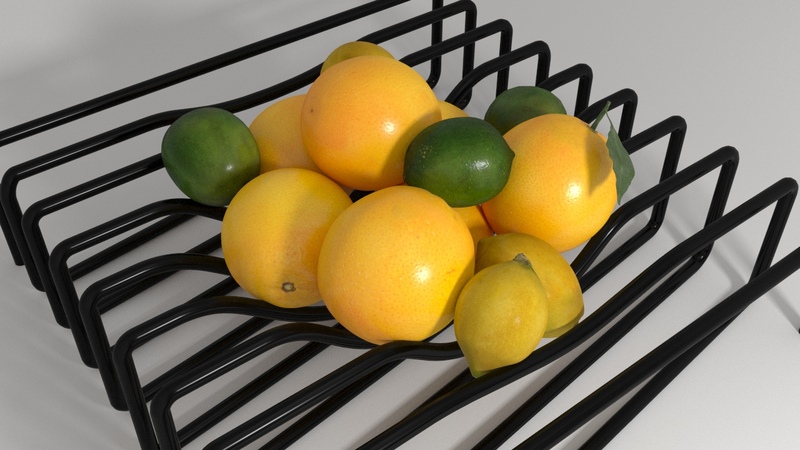 The bundle includes over 90 3d models from a selection of 25 CHOICE FRUITS, EXOTIC FRUITS, CITRUS FRUITS and MELONS plus 15 ARRANGEMENTS of fruits in bowls and plates, ready to be put into a scene. 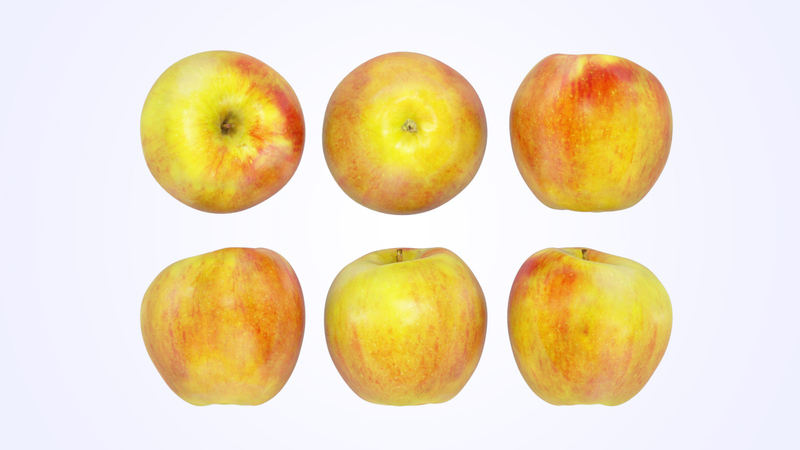 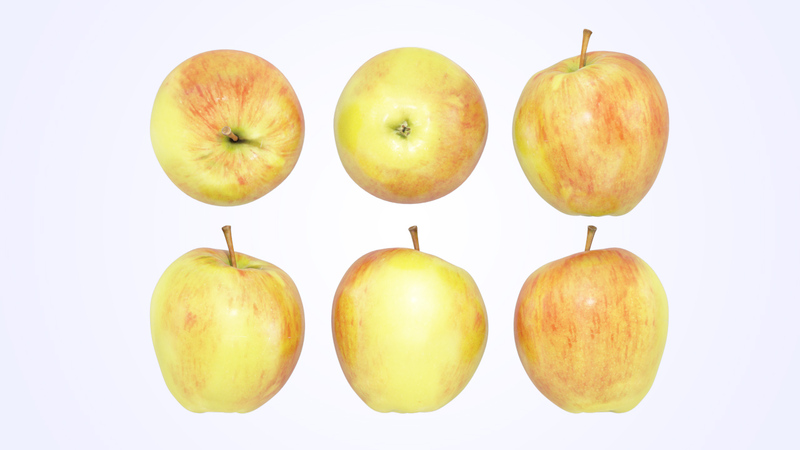 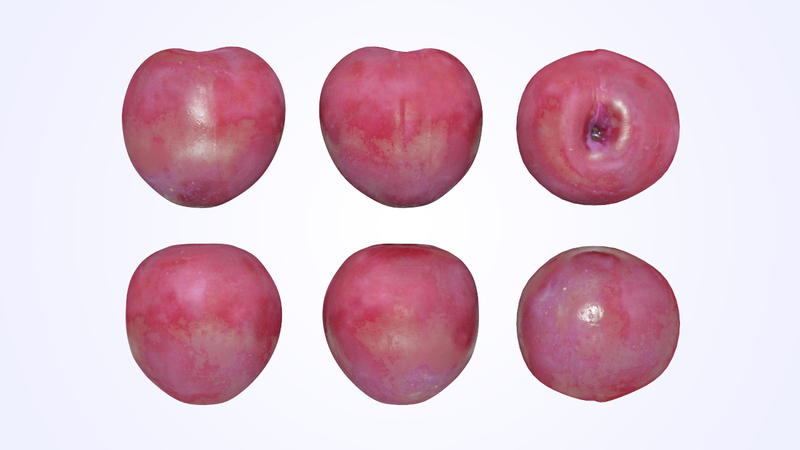 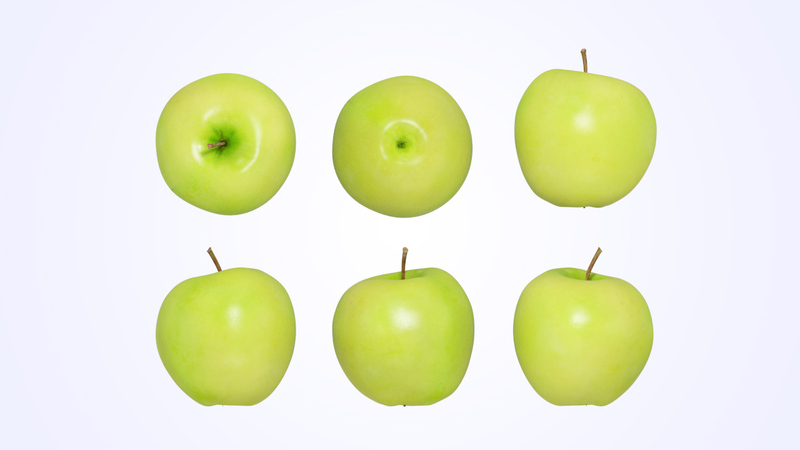 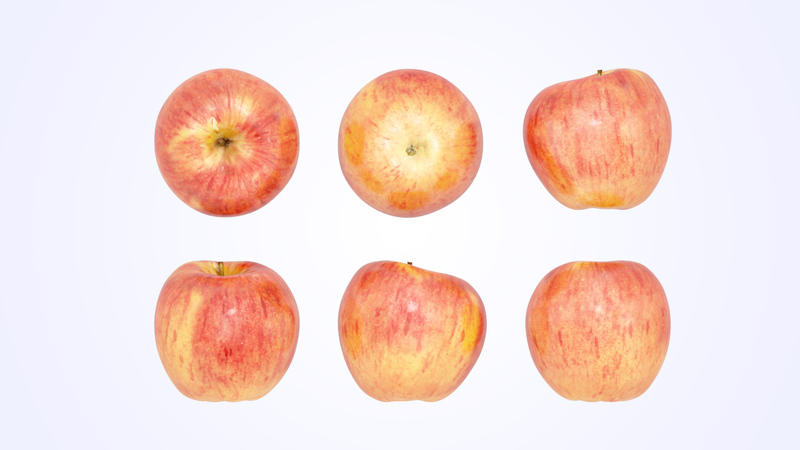 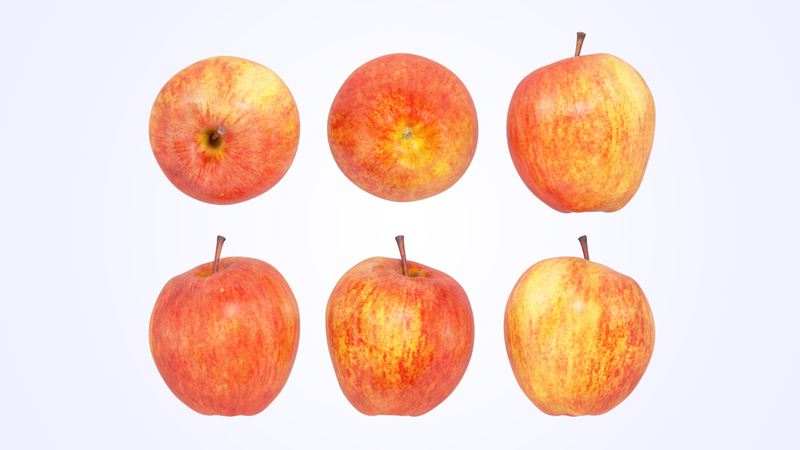 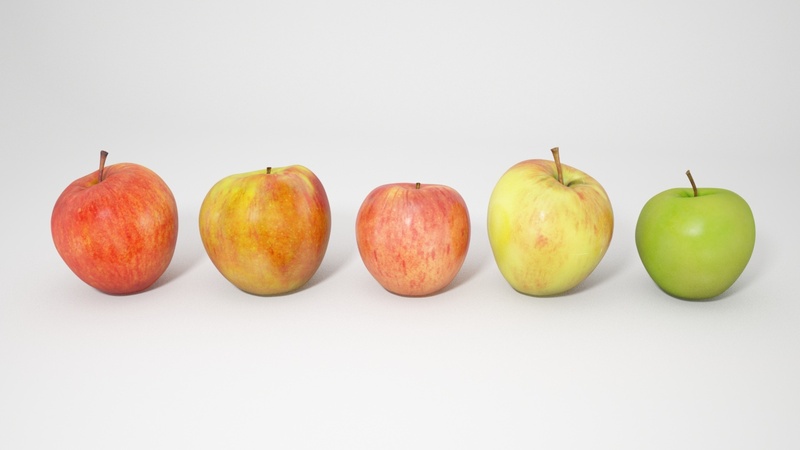 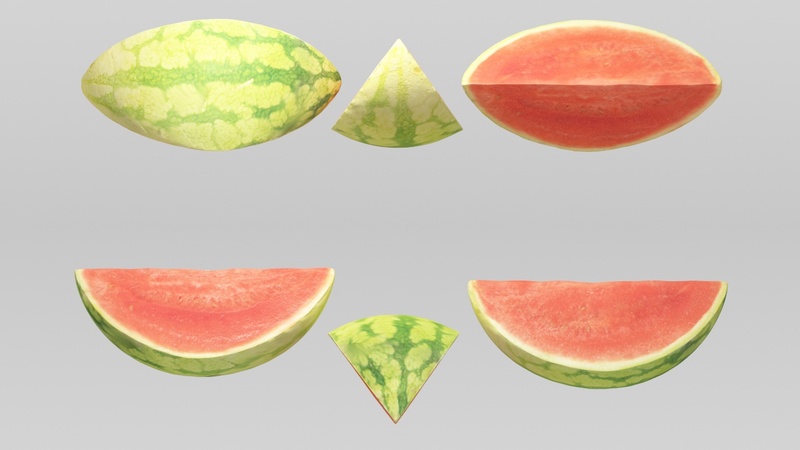 All models are created from real fruits by using multi-angle photographs as source for the modeling and texturing. 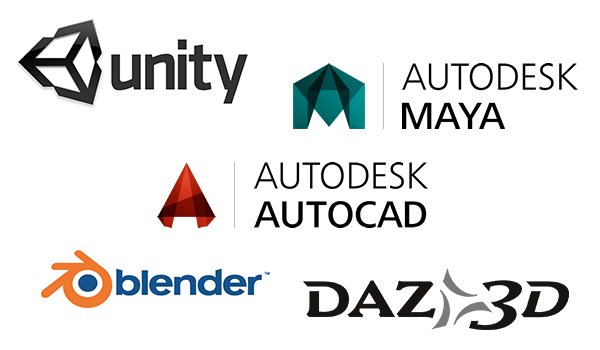 All models are available for 3DS MAX, CINEMA 4D, MODO, LightWave, OBJ and FBX formats, with ready-to-use materials for vray, octane render, corona renderer, mental ray and scanline. 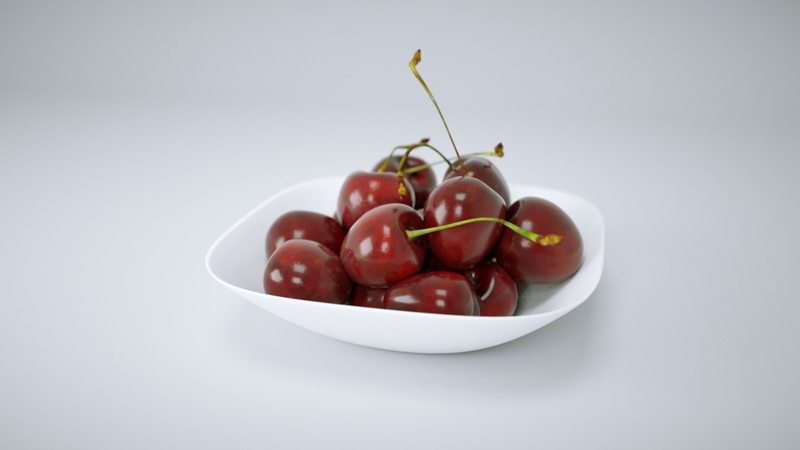 REAL FRUITS is a set of highly realistic fruit models and bowls for advertising or decoration in architecture. 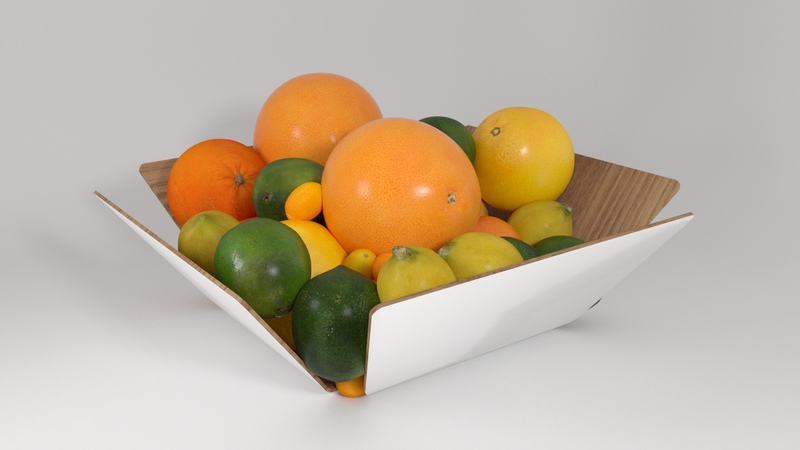 The bundle includes over 90 3d models from a selection of 25 CHOICE FRUITS, EXOTIC FRUITS, CITRUS FRUITS and MELONS plus 15 ARRANGEMENTS of fruits in bowls and plates, ready to be put into a scene. 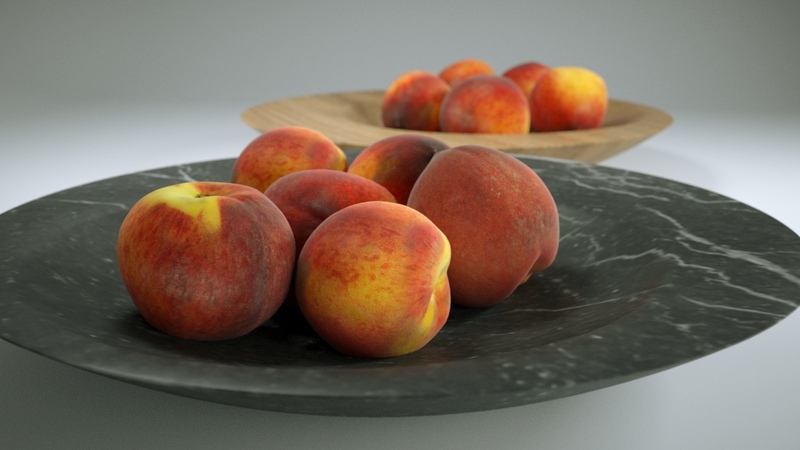 All models are created from real fruits by using multi-angle photographs as source for the modeling and texturing. 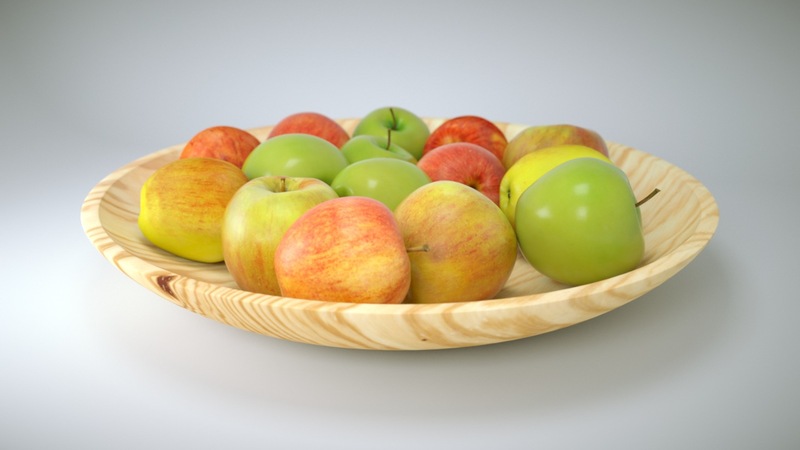 All models are available for 3DS MAX, CINEMA 4D, MODO, LightWave, OBJ and FBX formats, with ready-to-use materials for vray, octane render, corona renderer, mental ray and scanline. 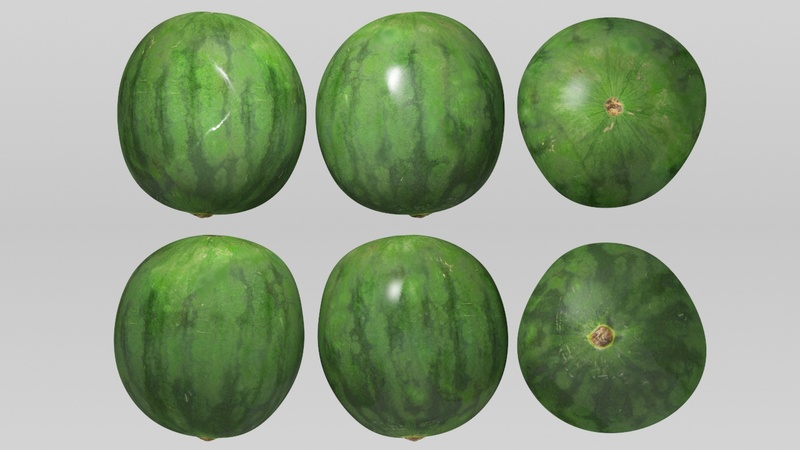 (for detailed renderer support please view AVAILABLE FORMATS below!). 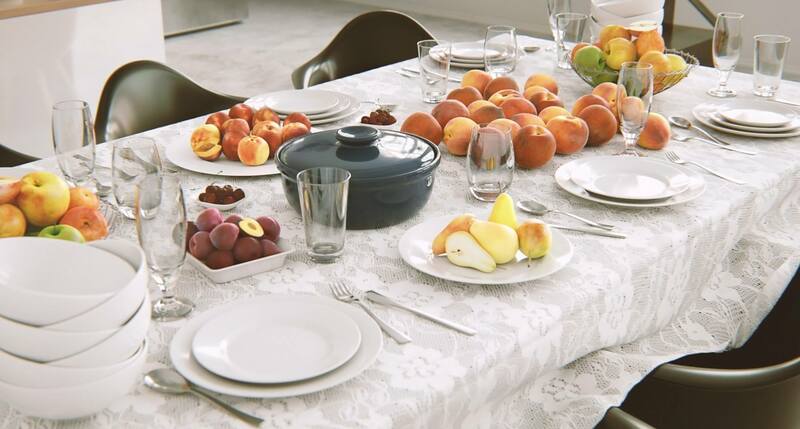 Real Fruits includes 15 setups of fruits on plates, bowls and etageres. 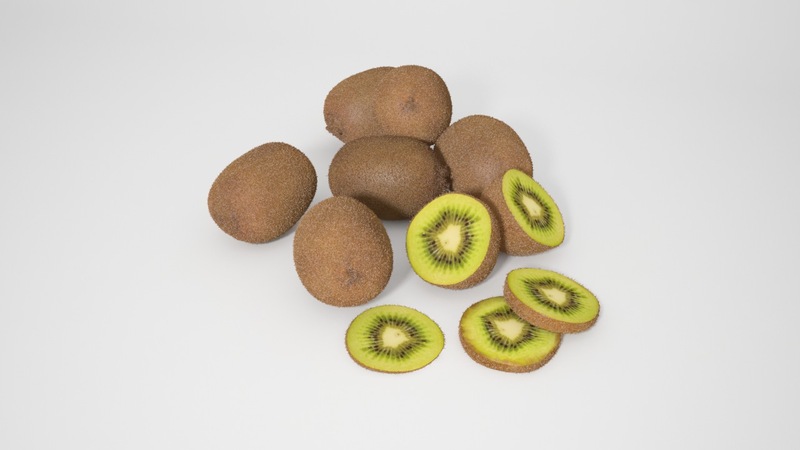 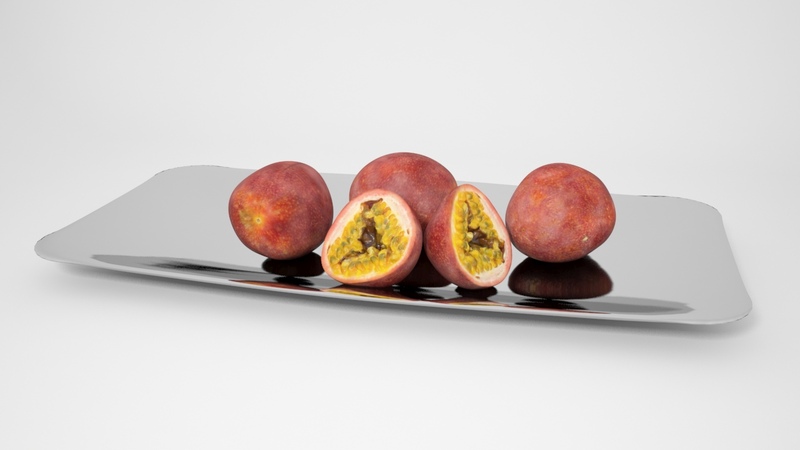 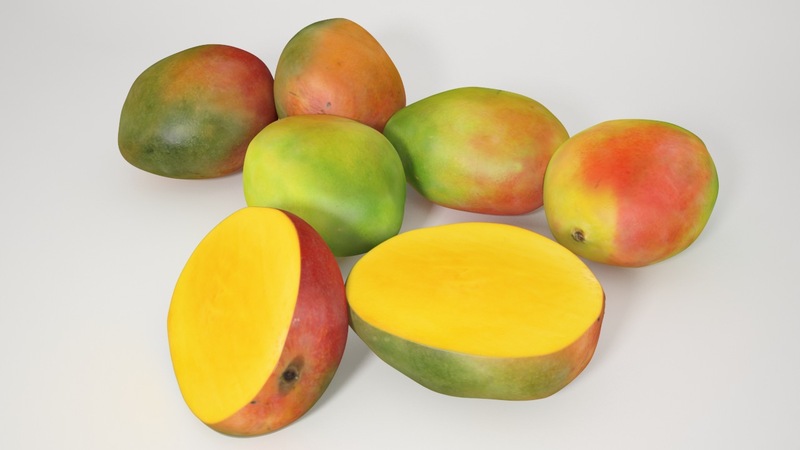 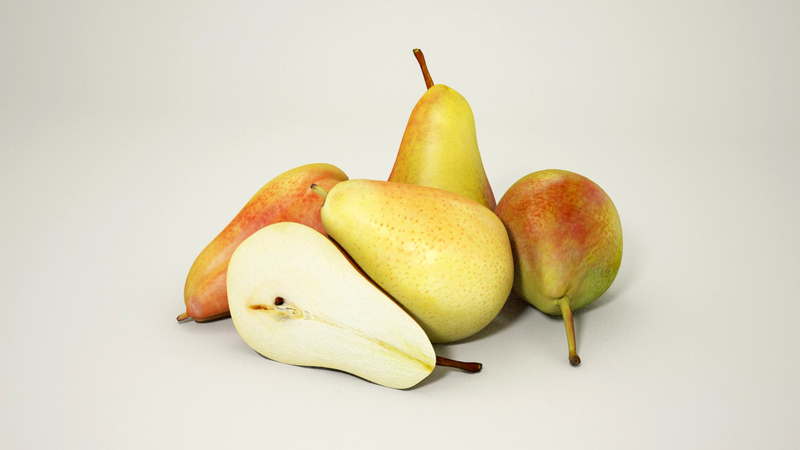 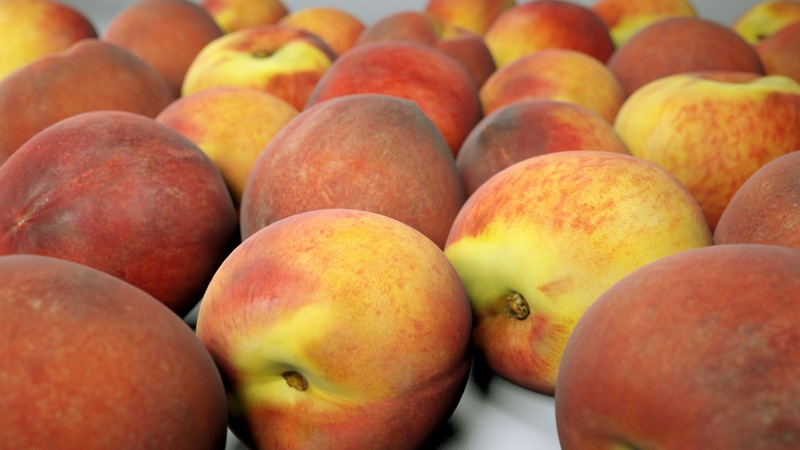 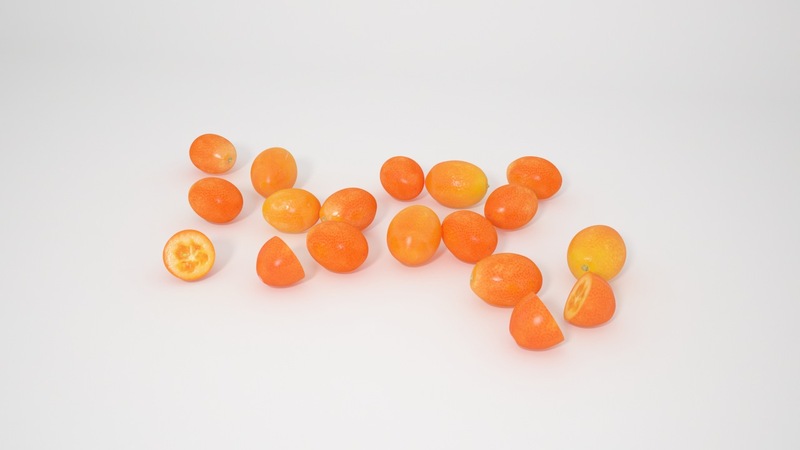 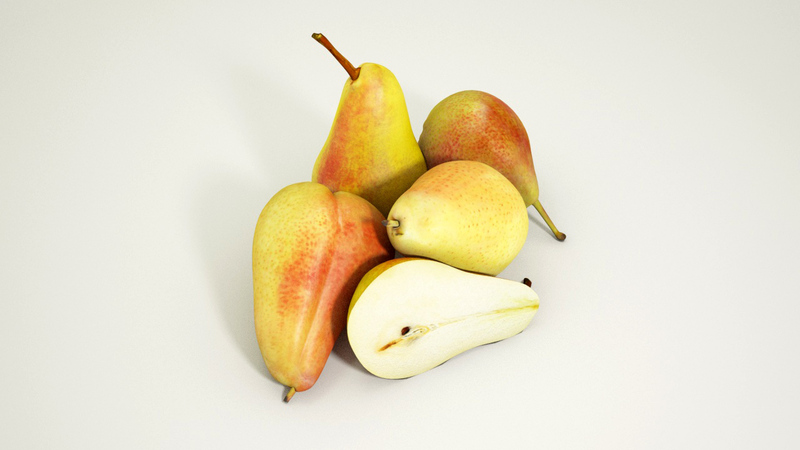 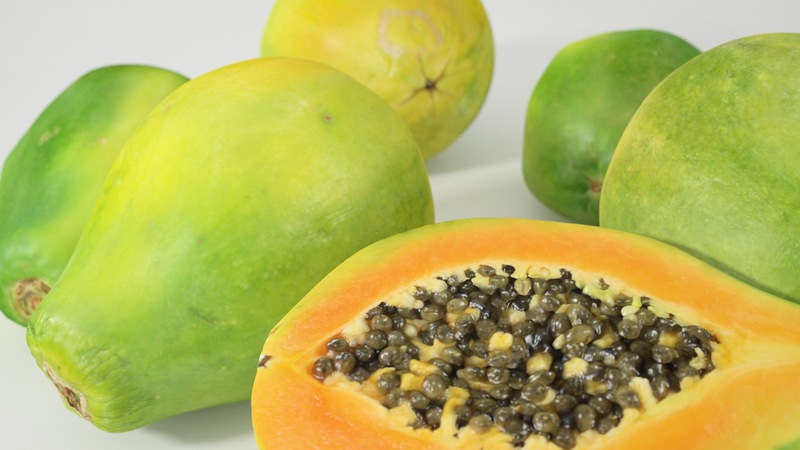 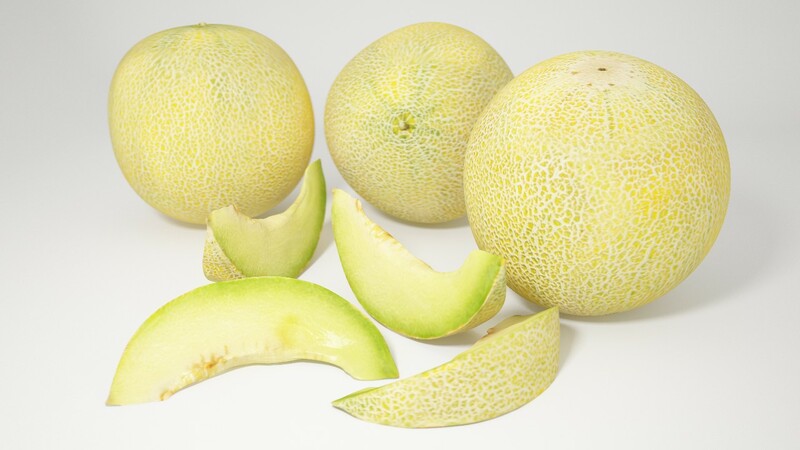 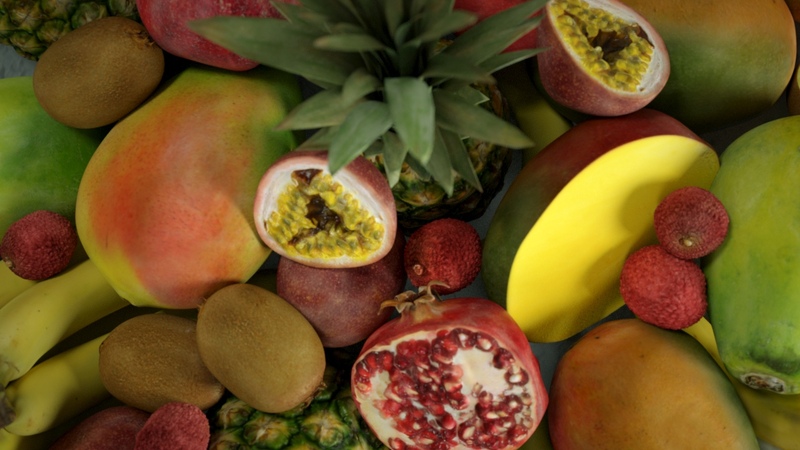 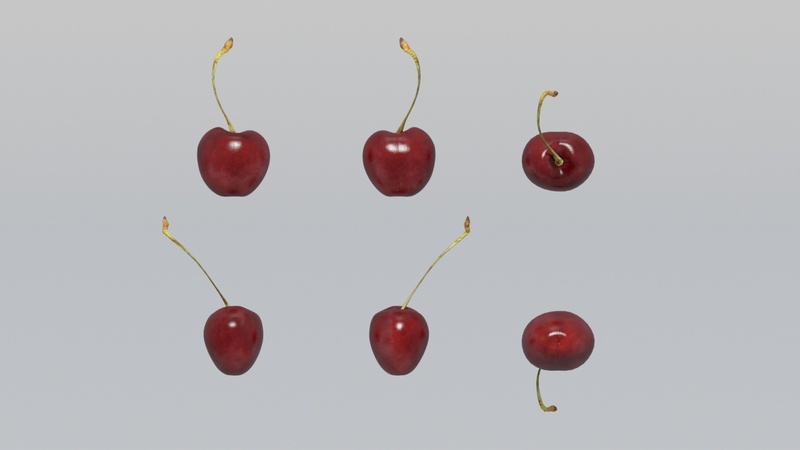 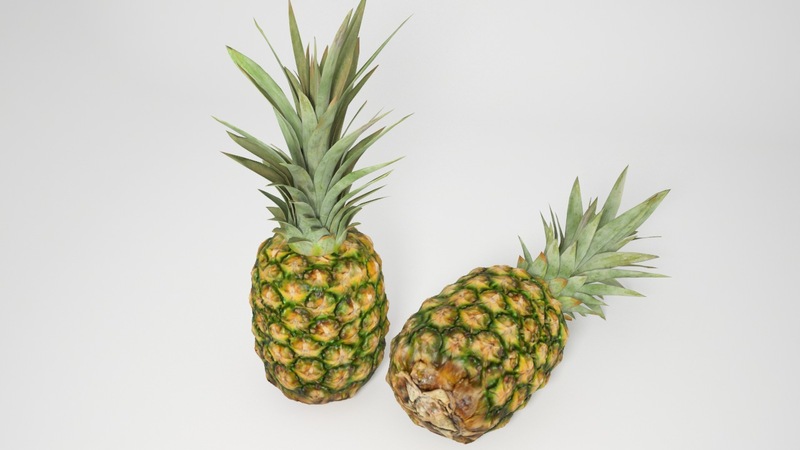 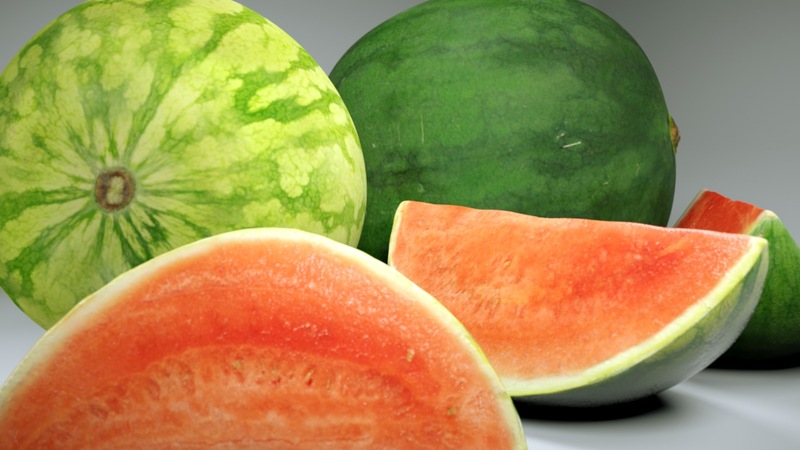 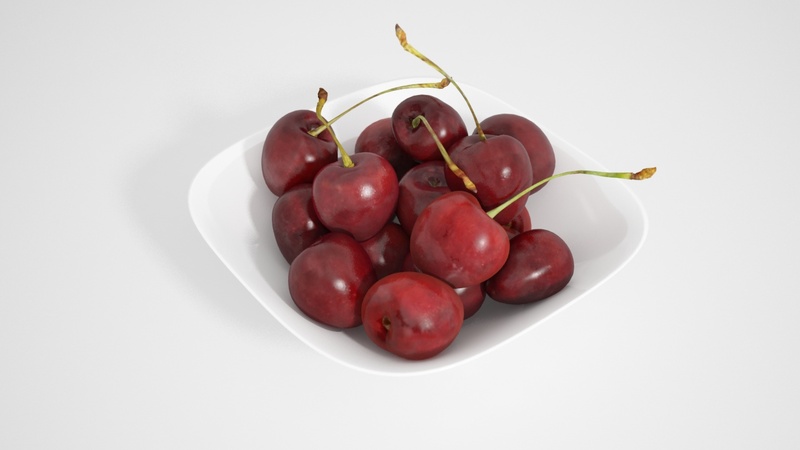 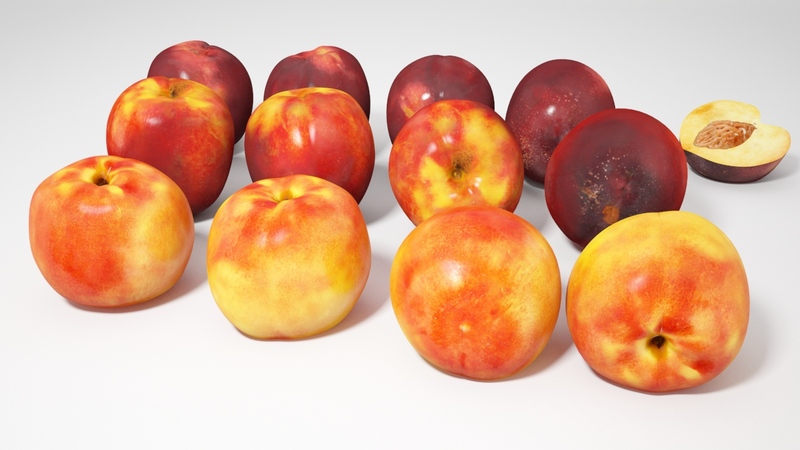 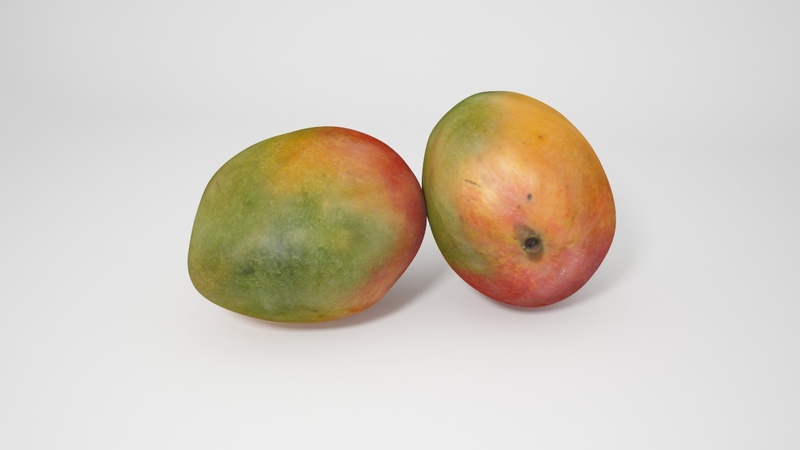 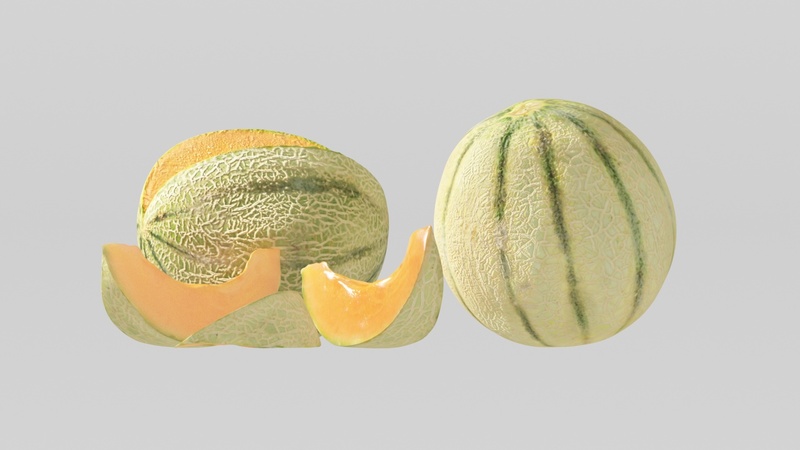 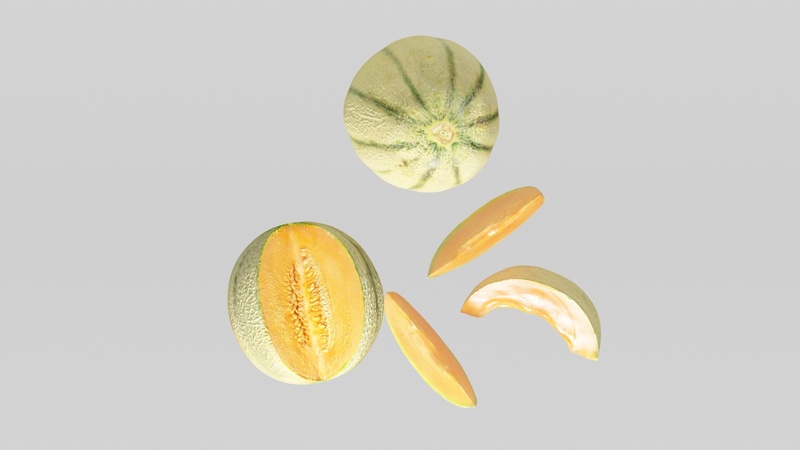 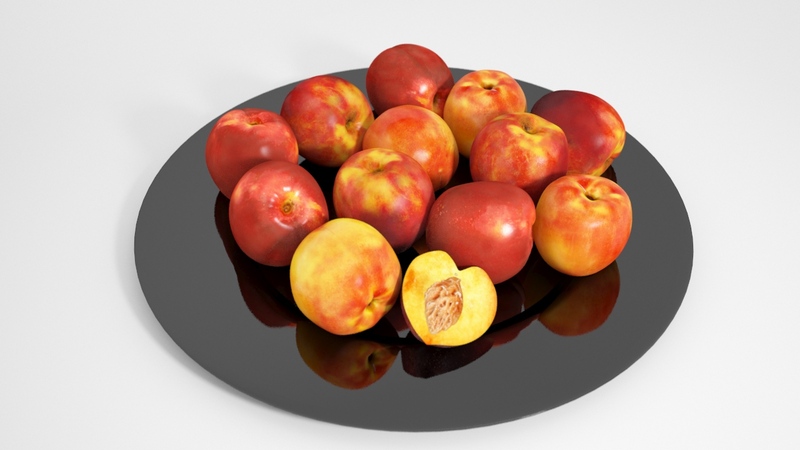 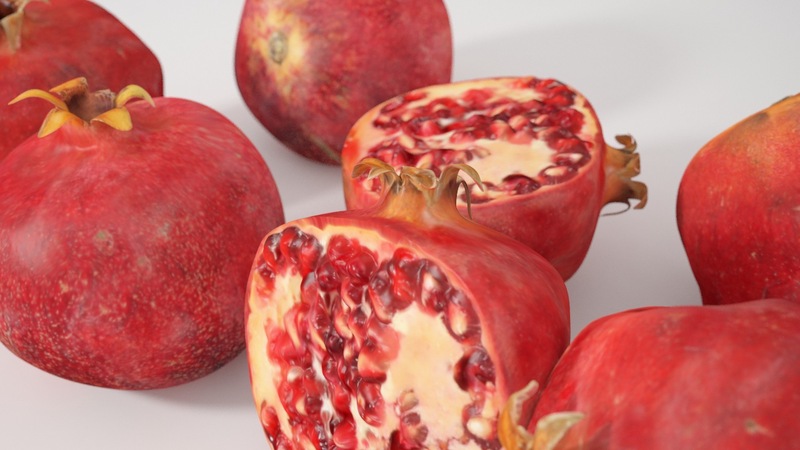 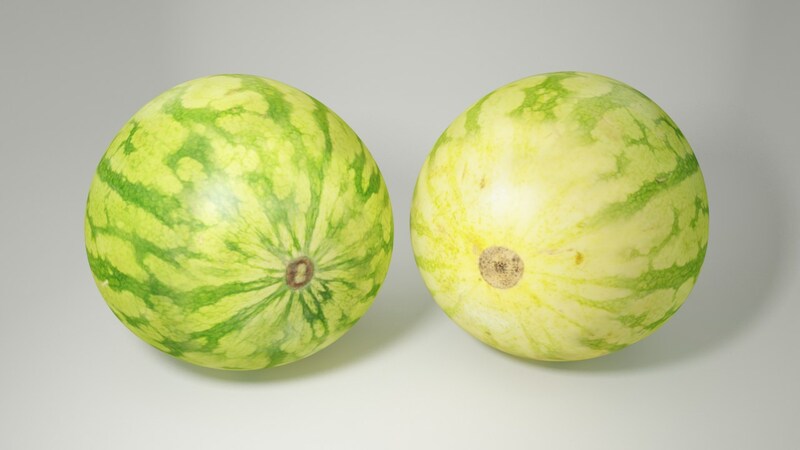 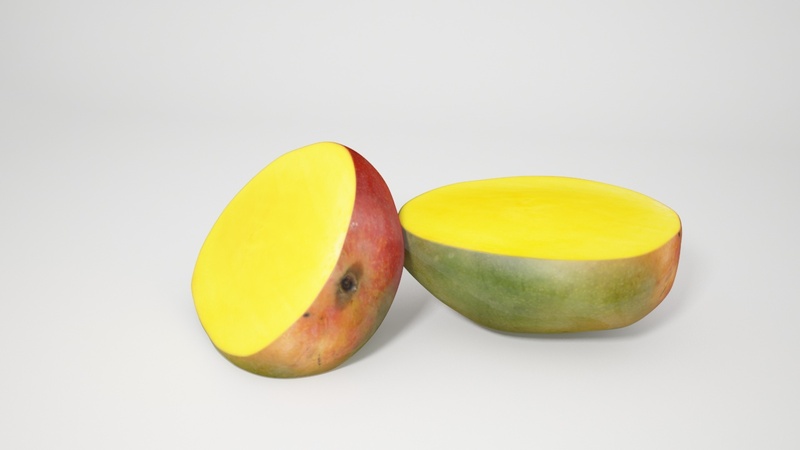 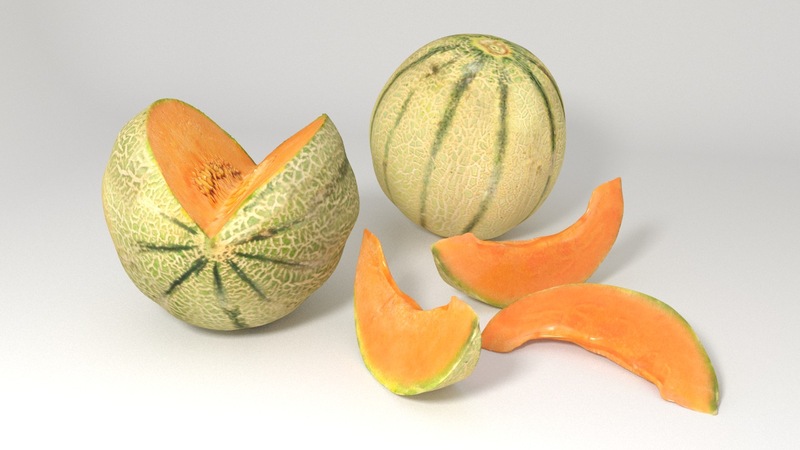 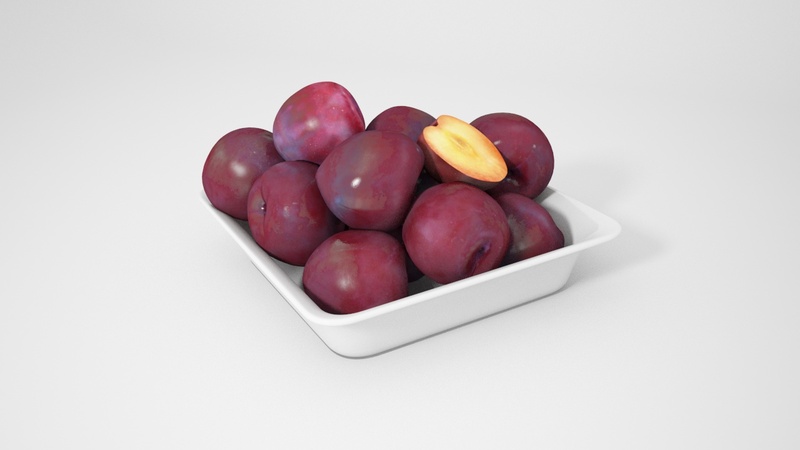 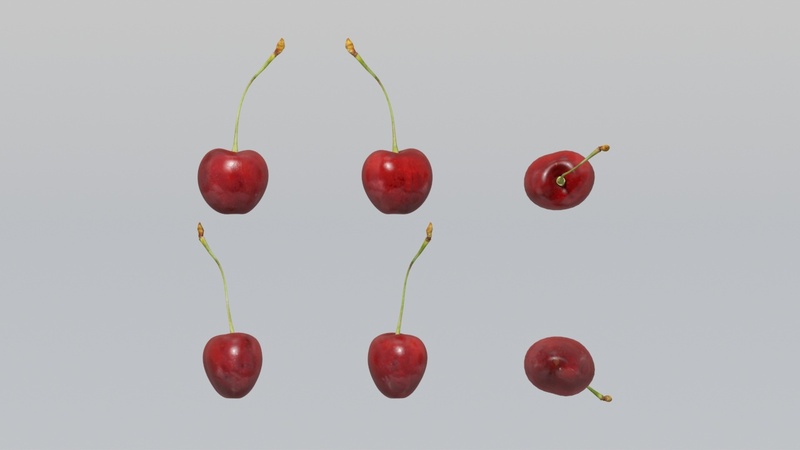 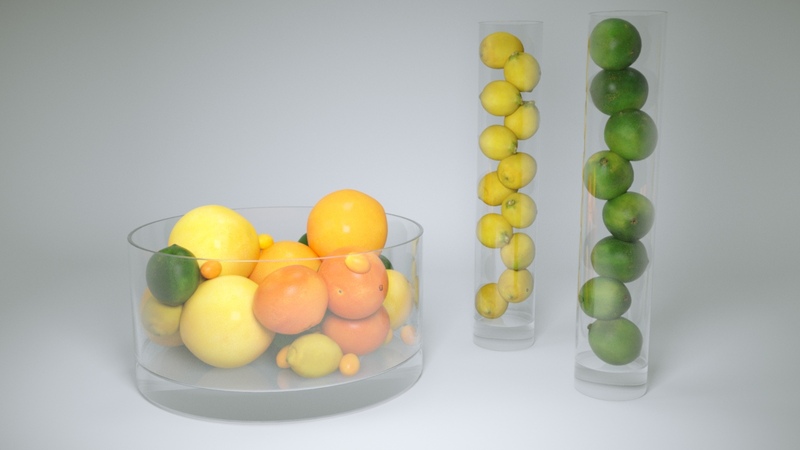 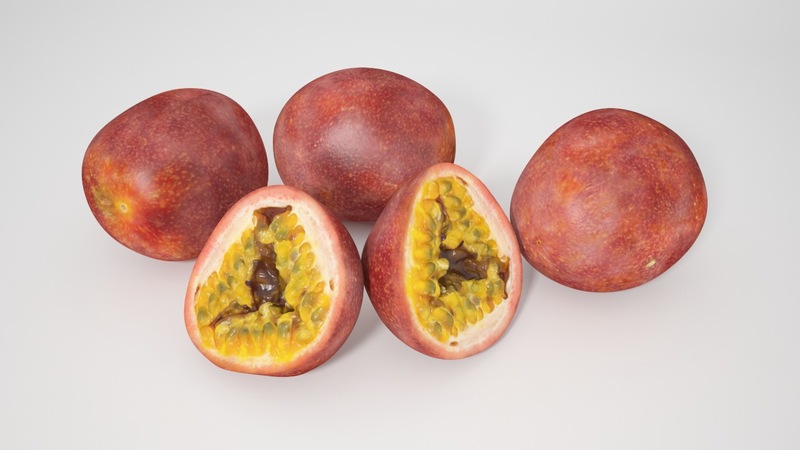 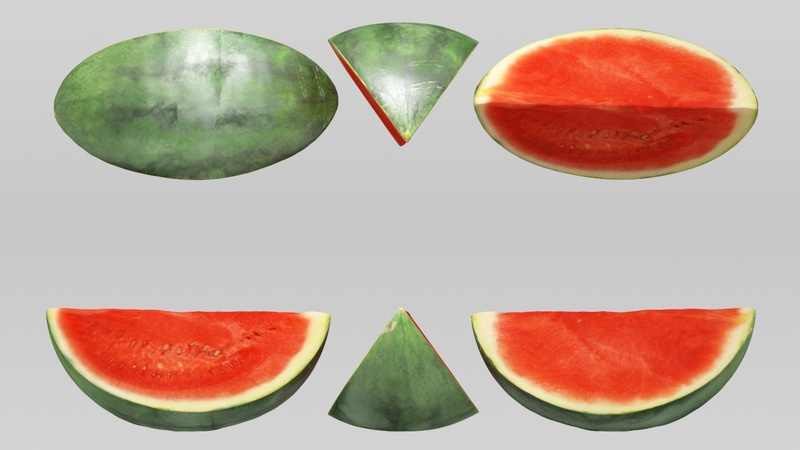 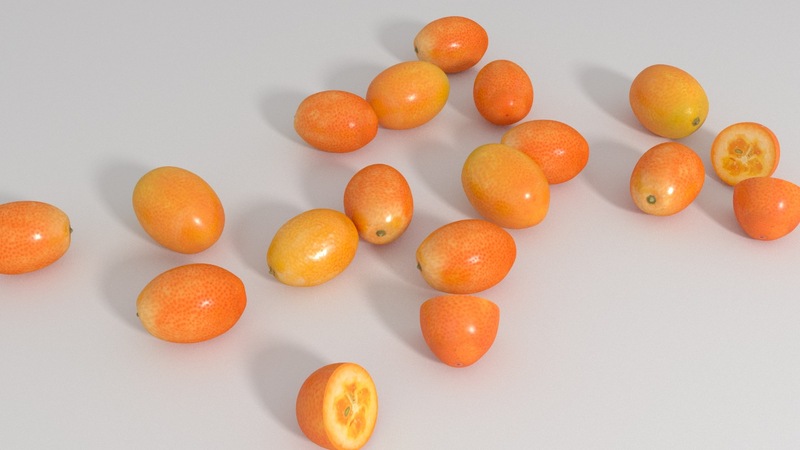 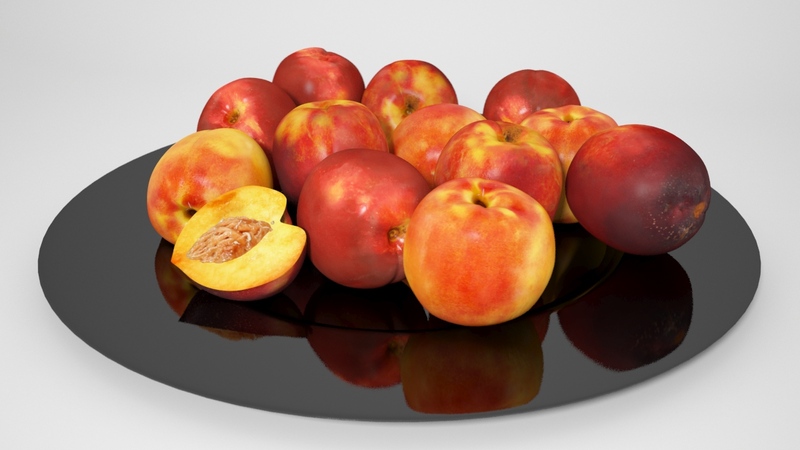 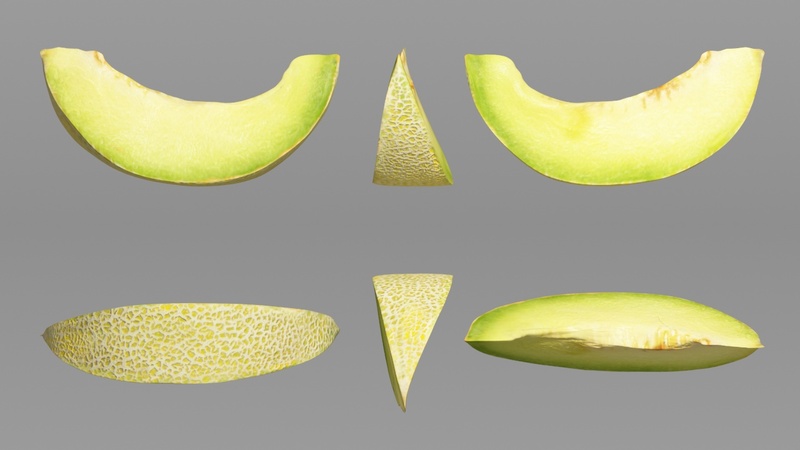 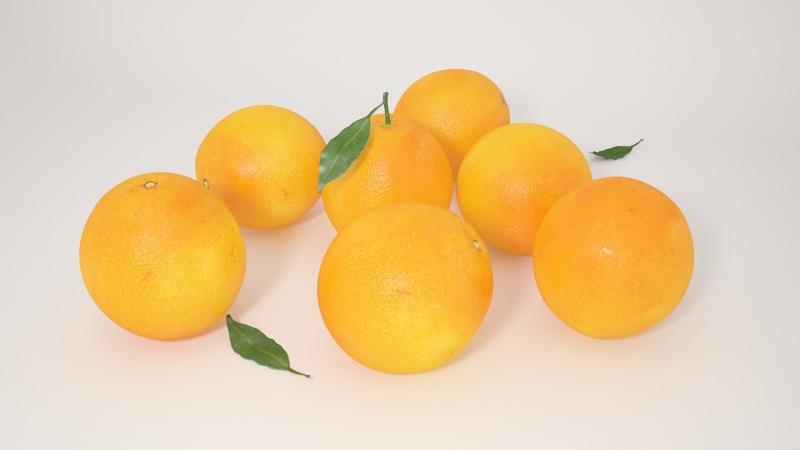 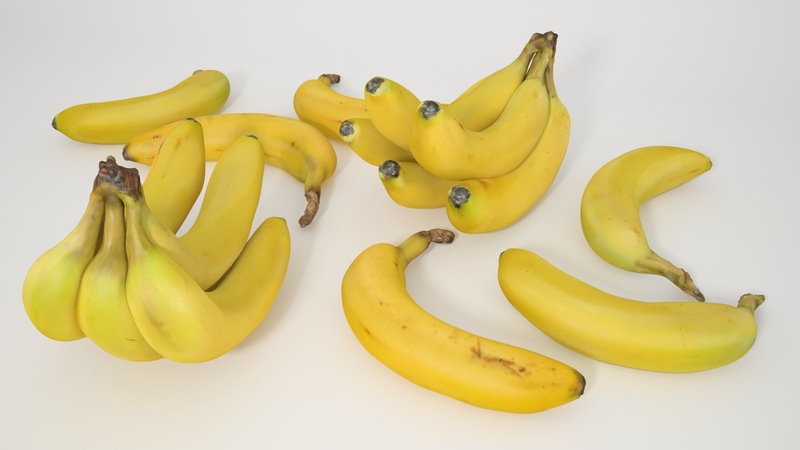 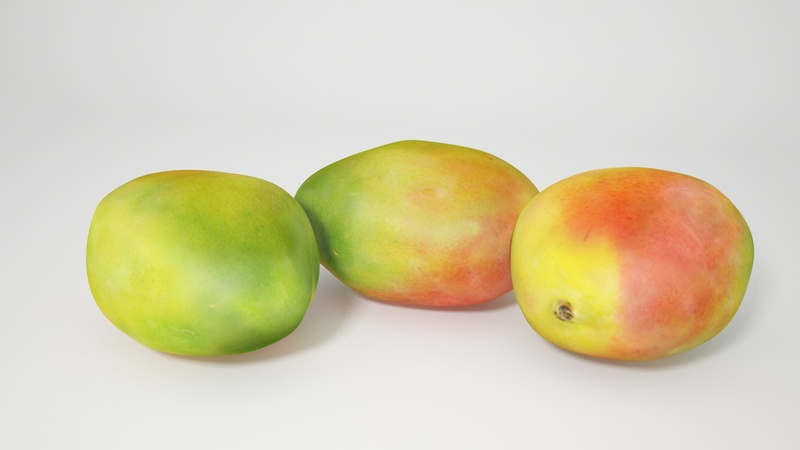 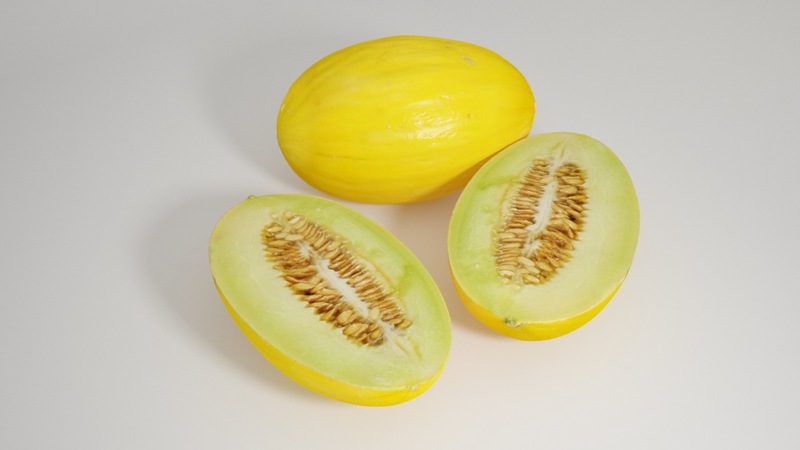 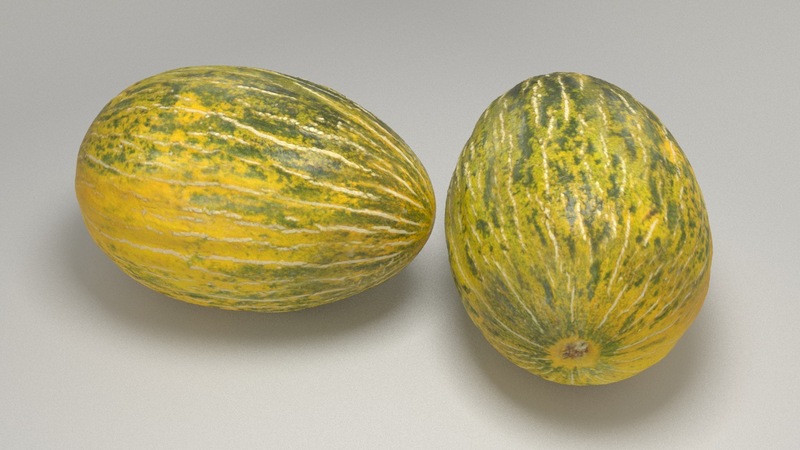 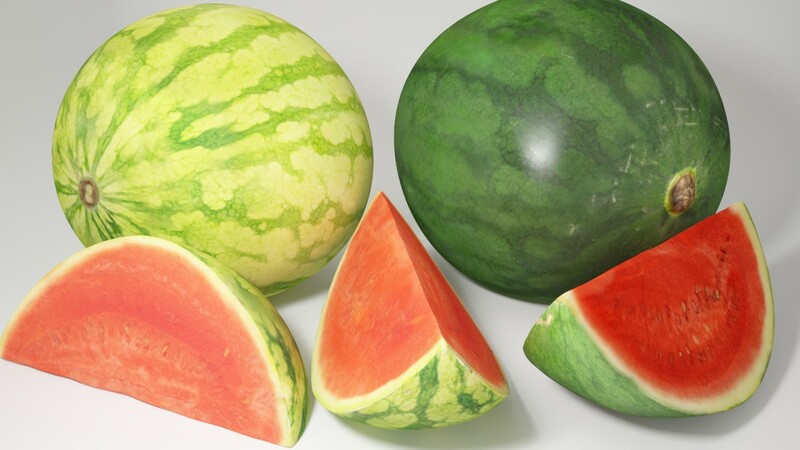 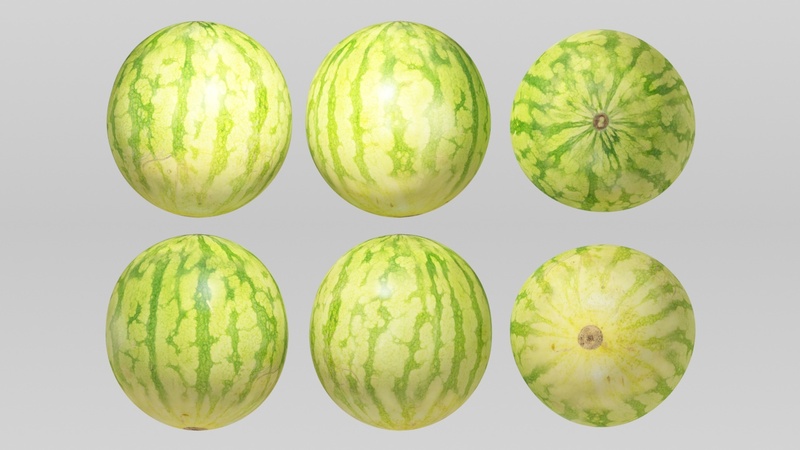 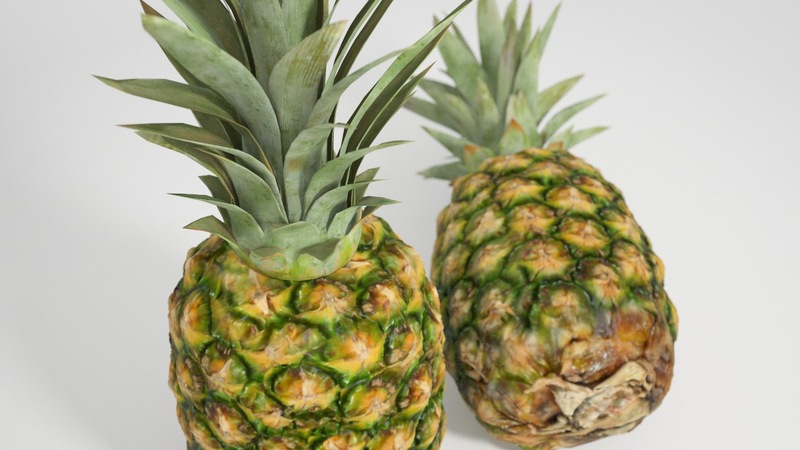 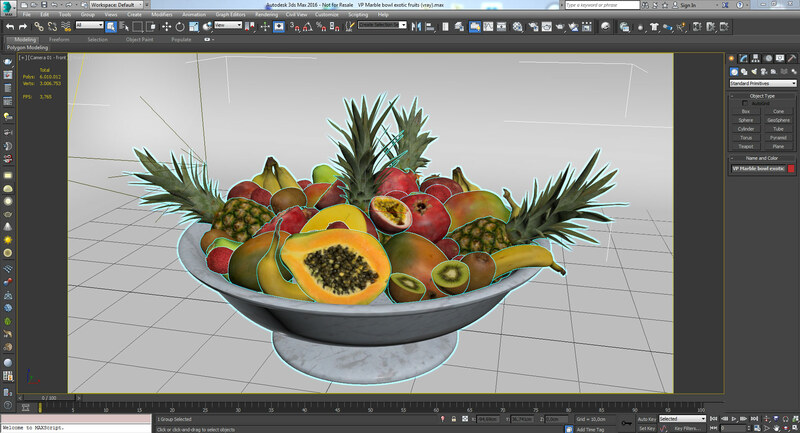 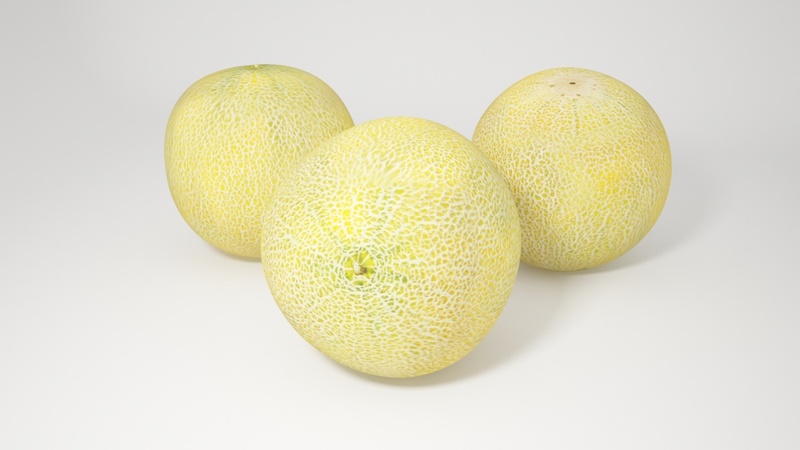 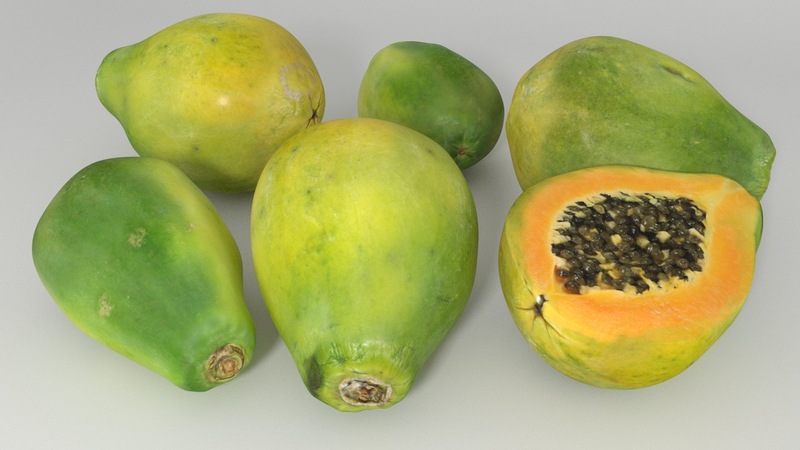 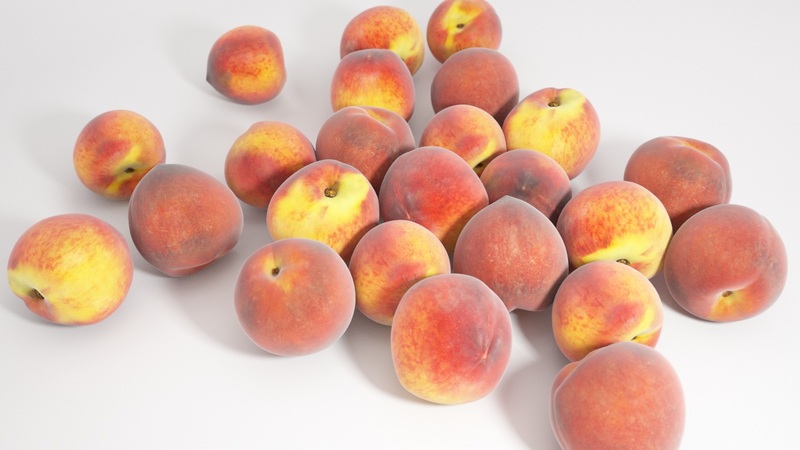 The 3Ds Max version of REAL FRUITS includes 3Ds Max 2012 scenes for each of the 25 fruits and each renderer plus scenes for each fruit arrangement. 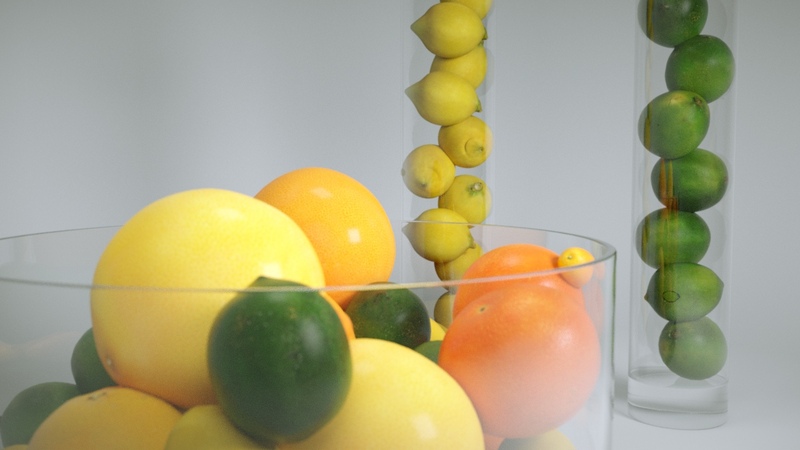 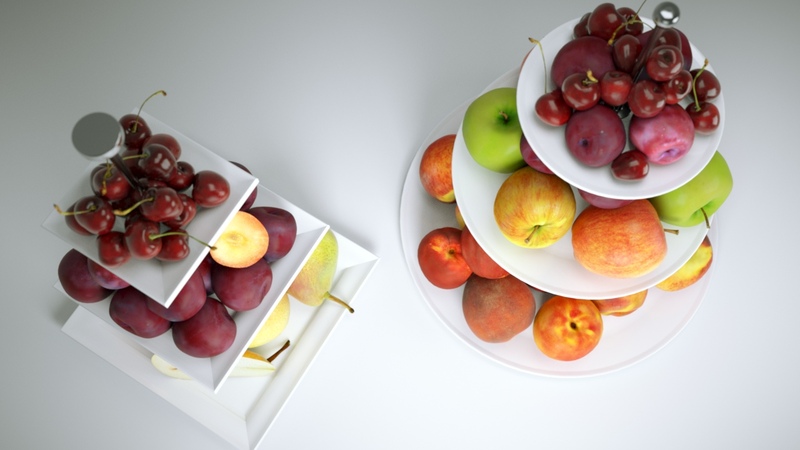 No matter if you use vray, mental ray, Corona Renderer 1.2, Octane Render 1.5 or Scanline, you can simply merge fruits or arrangements into your own scene. 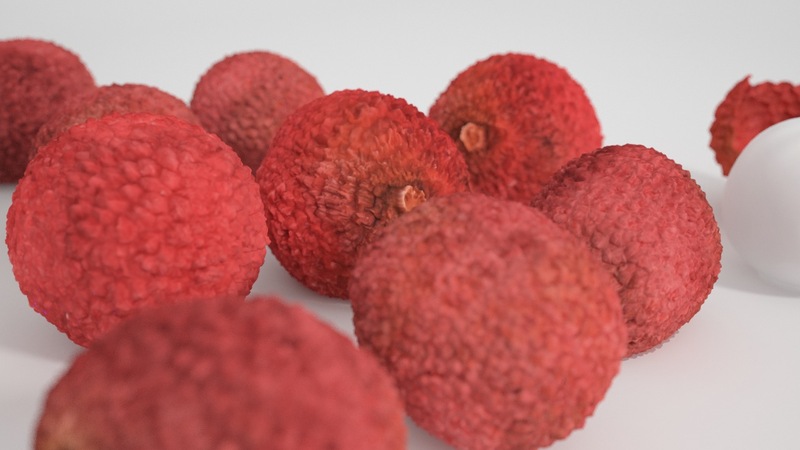 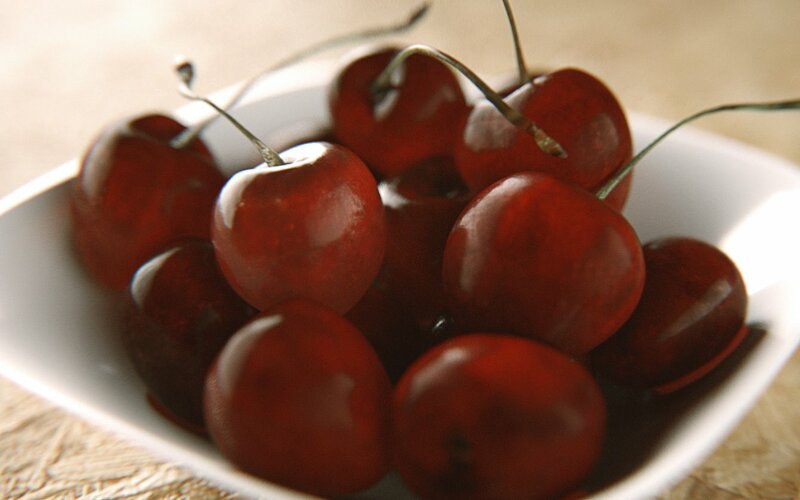 The CINEMA 4D version of Real Fruits is available as LIB4D with VRAY, ADVANCED RENDER and OCTANE presets. 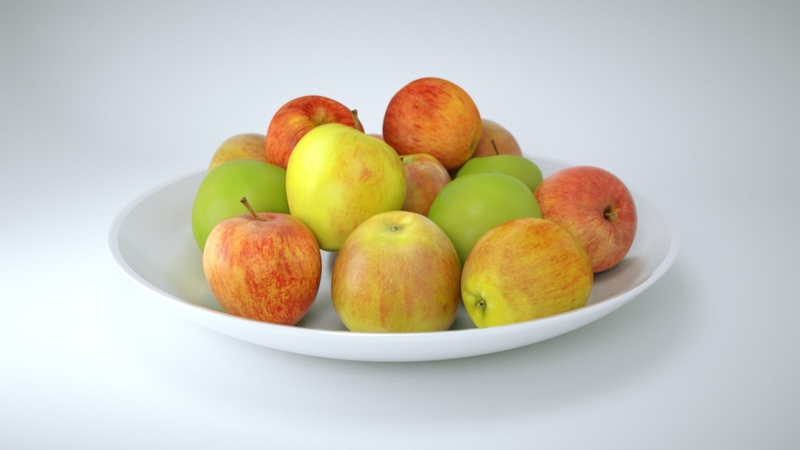 All versions are provided as one LIB4D file for the content browser. 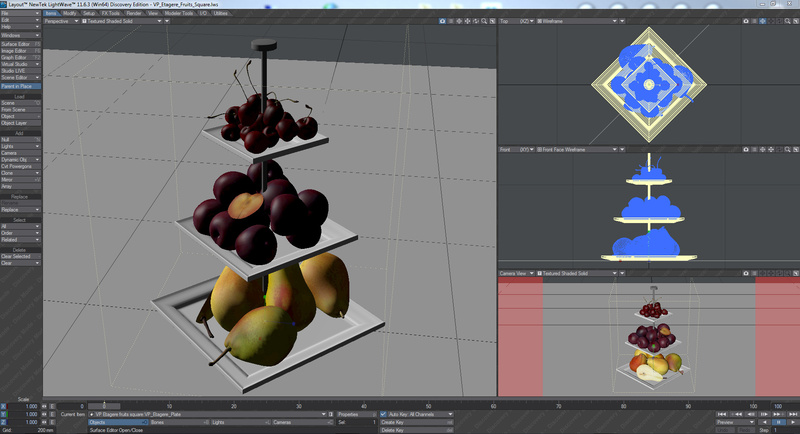 Simply drag´n´drop fruits or entire arrangements from the content Browser to your scene and start rendering. 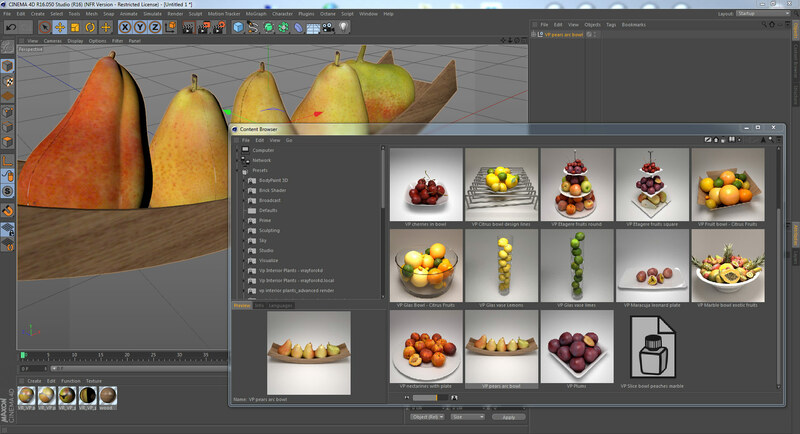 The MODO version of Real Fruits integrates perfectly into the application. 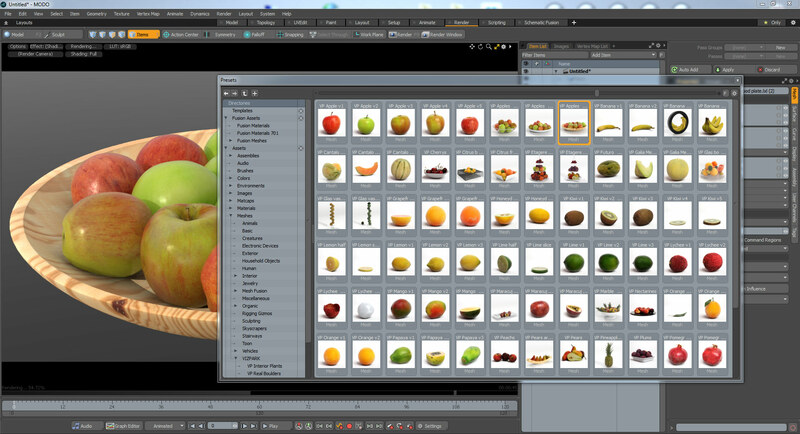 Simply drag´n´drop fruits or arrangements from the preset browser into your scene and render immediately. 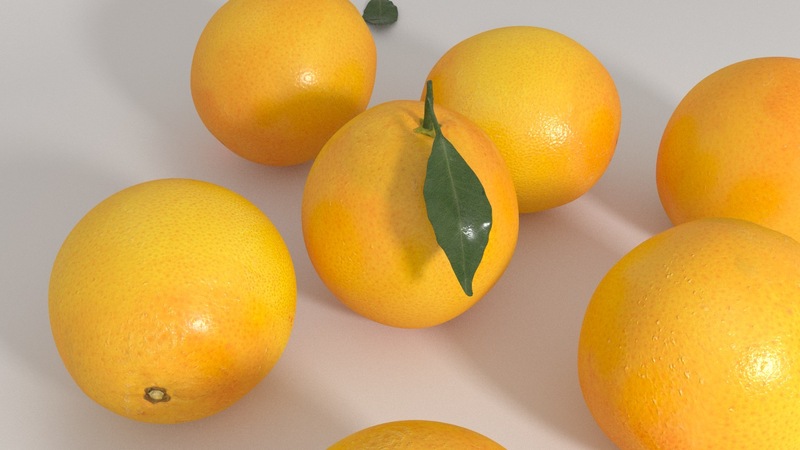 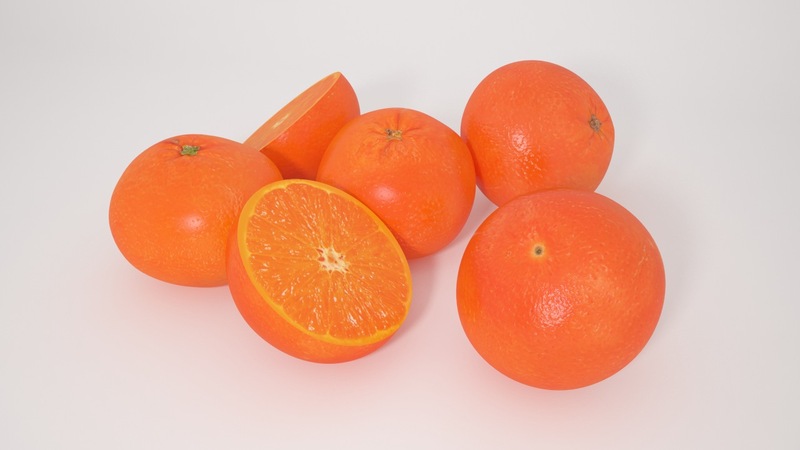 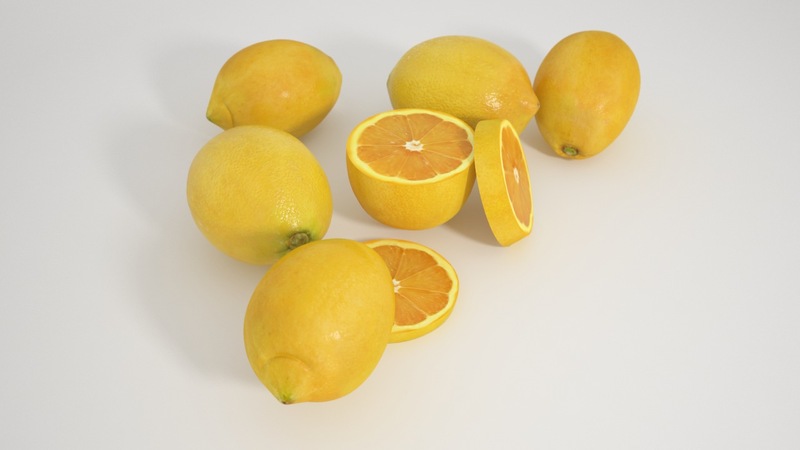 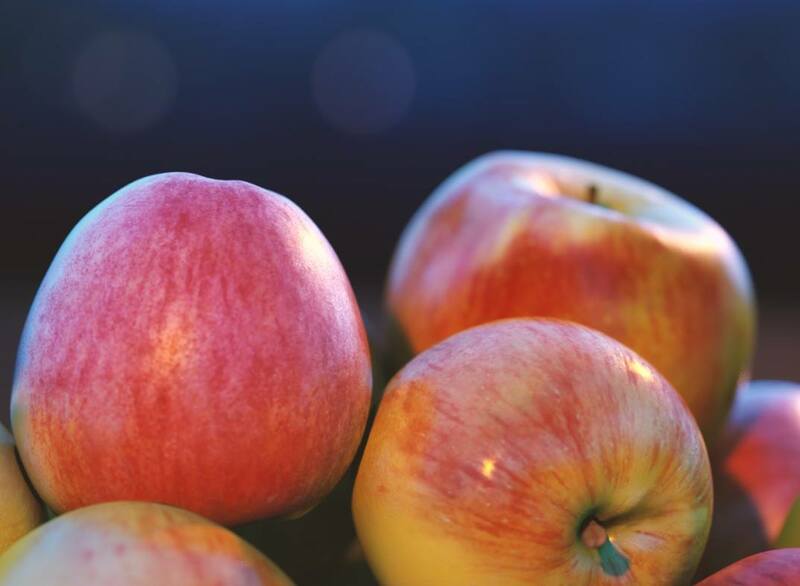 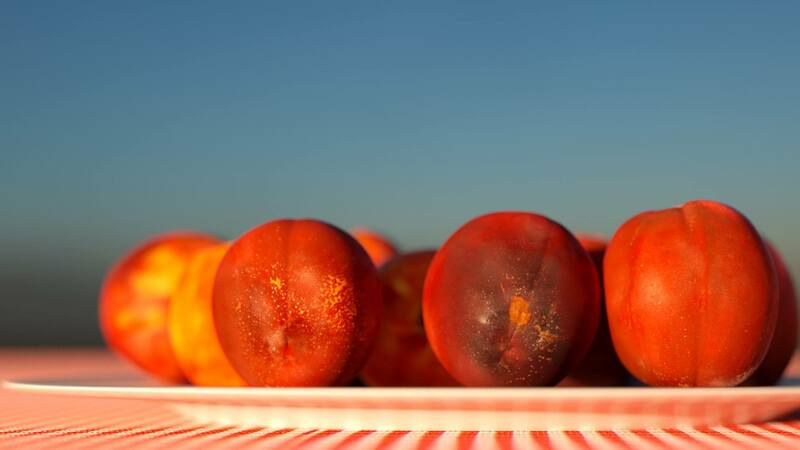 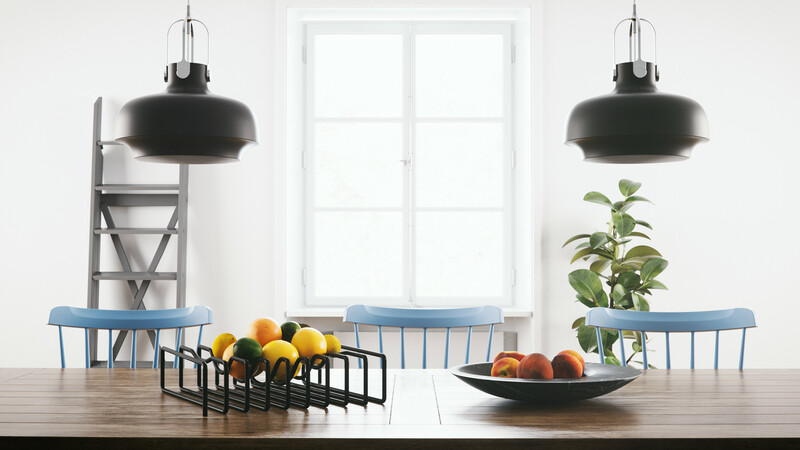 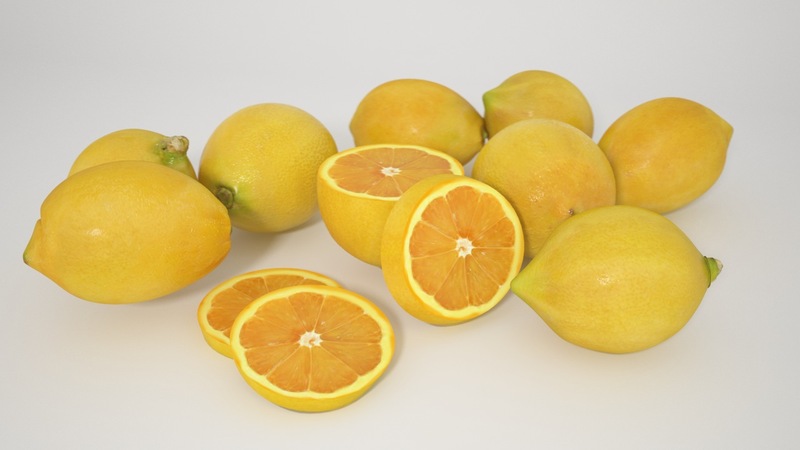 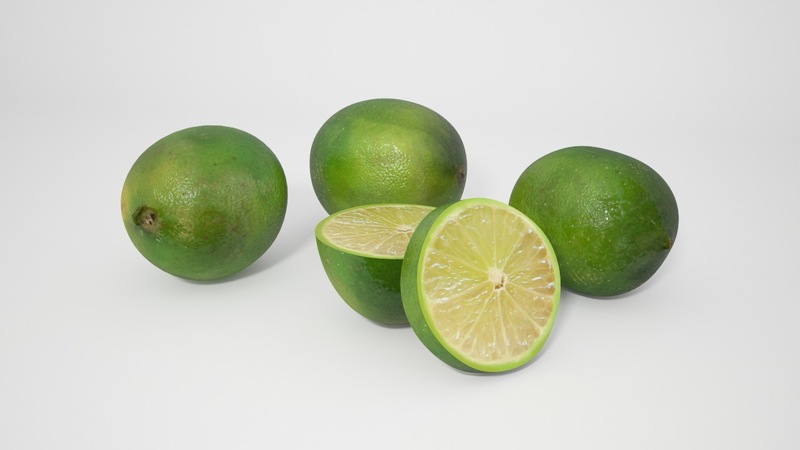 The LightWave version of Real Fruits includes objects files (.lwo) and scene files (.lws) for the standard renderer and Octane Render 2.x (Octane Render 1.x is not supported!). 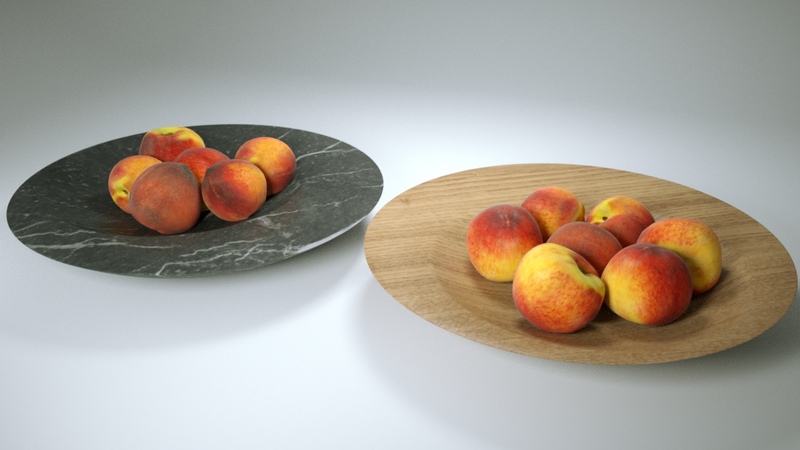 The OBJ version of Real Fruits includes all single fruits models and arrangements as OBJ prepared files, including textures and .mtl materials. 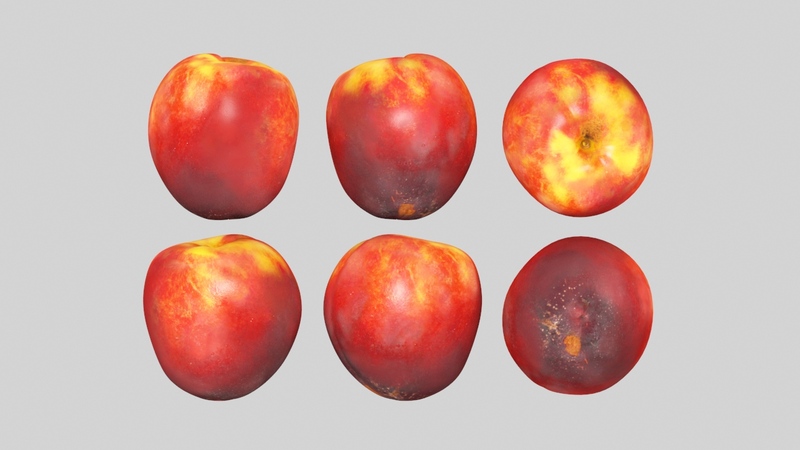 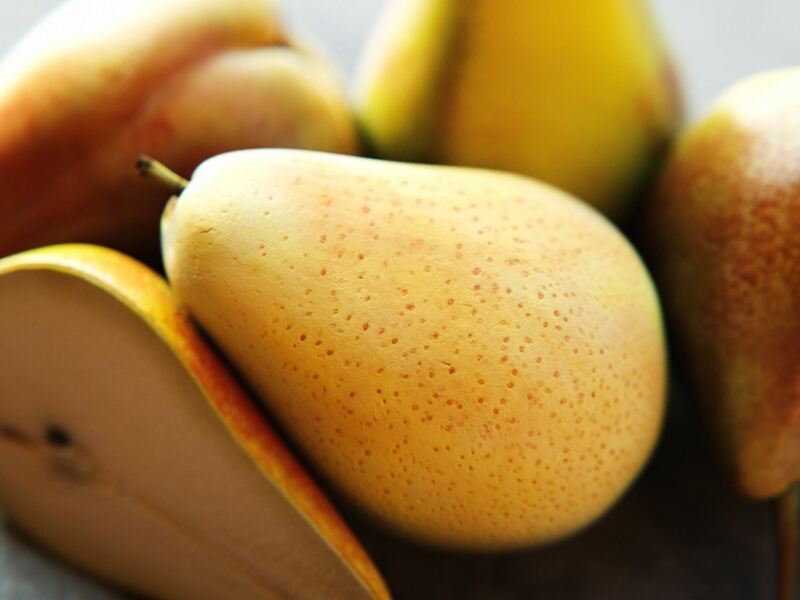 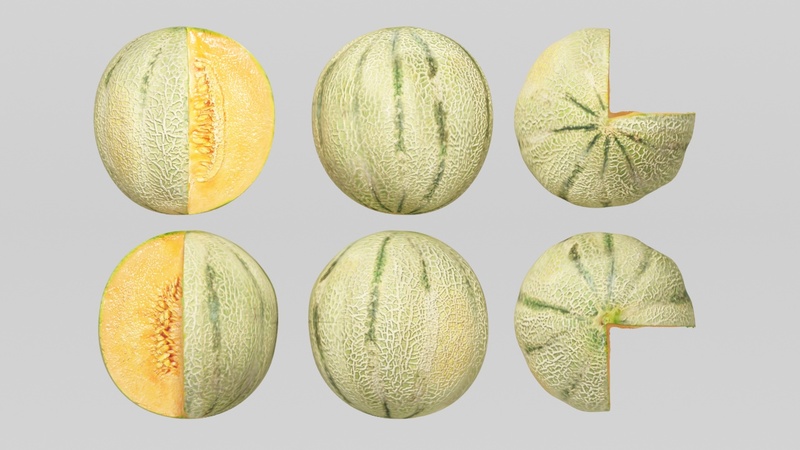 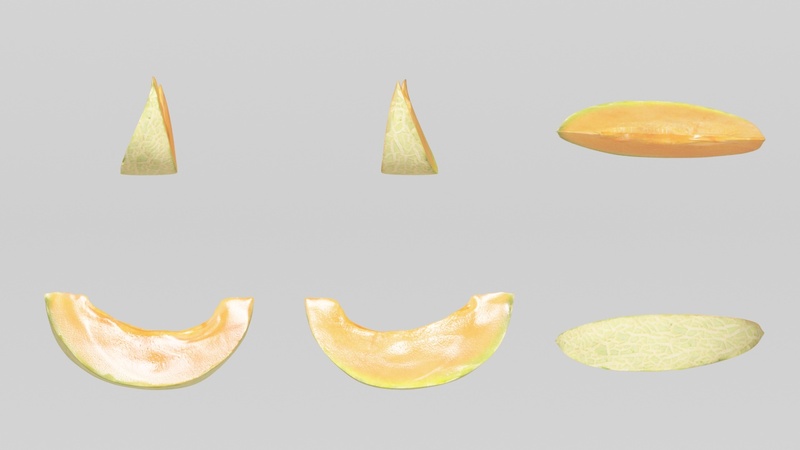 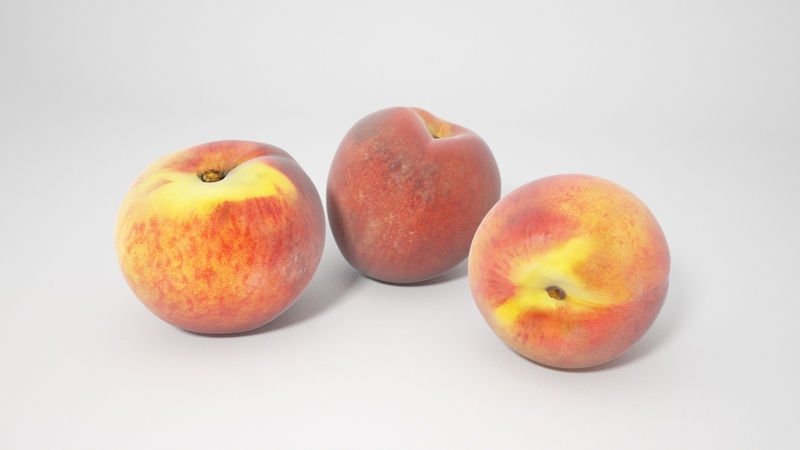 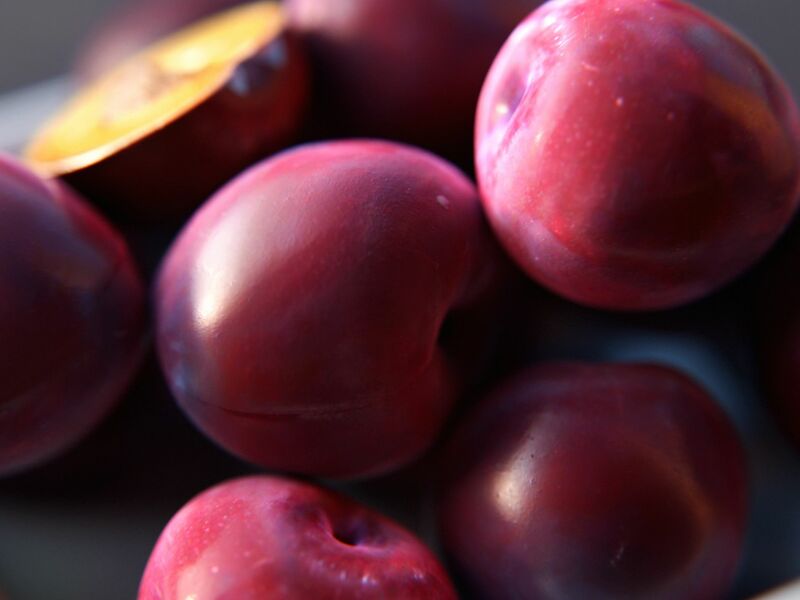 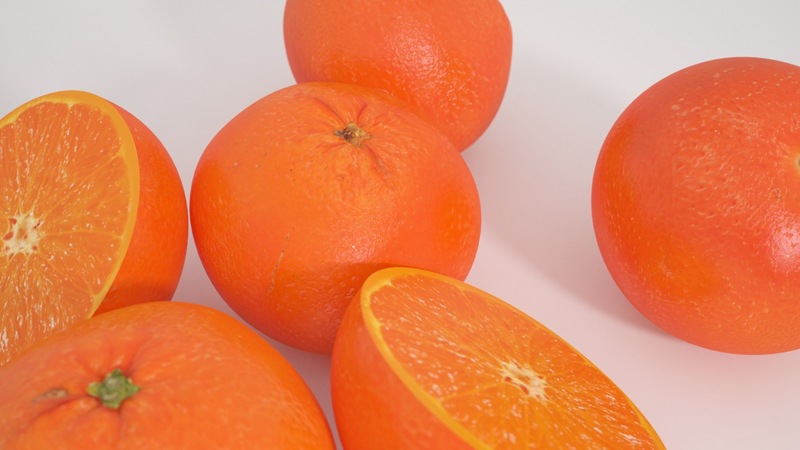 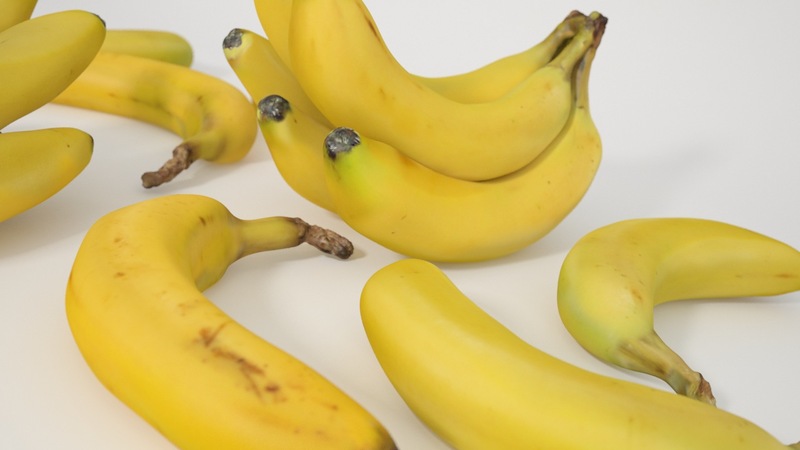 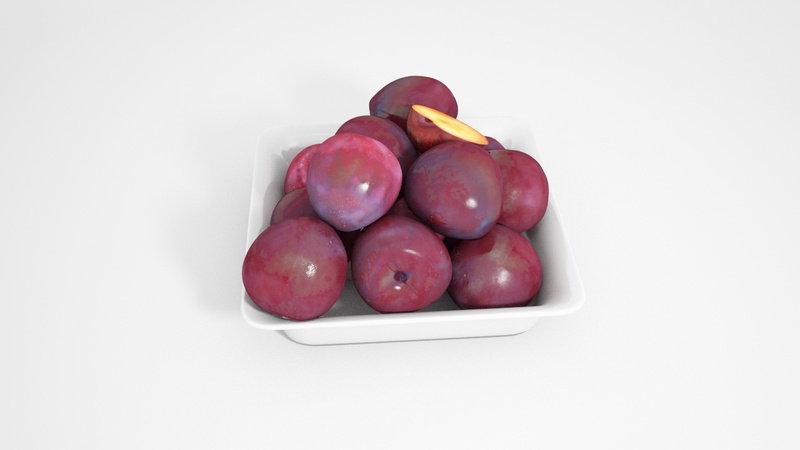 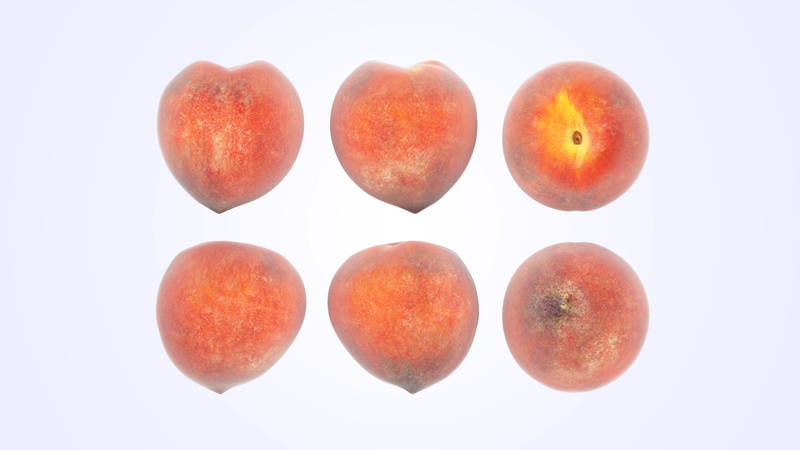 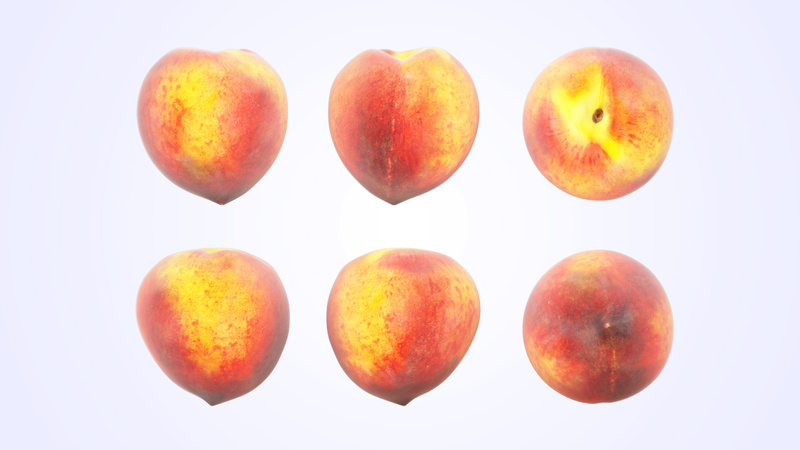 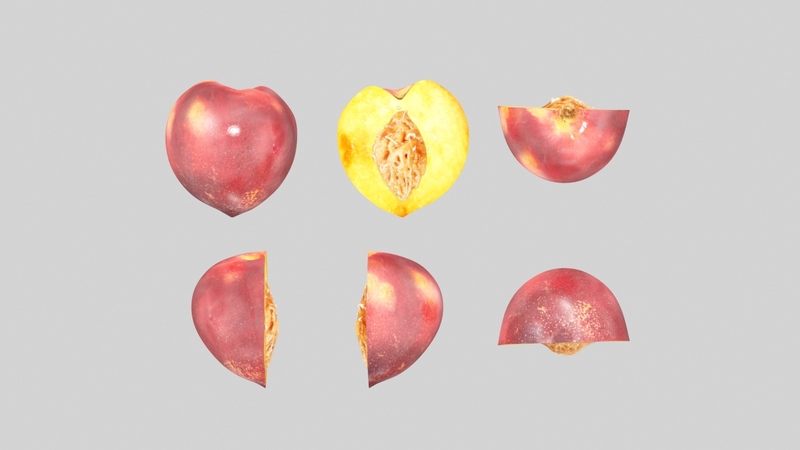 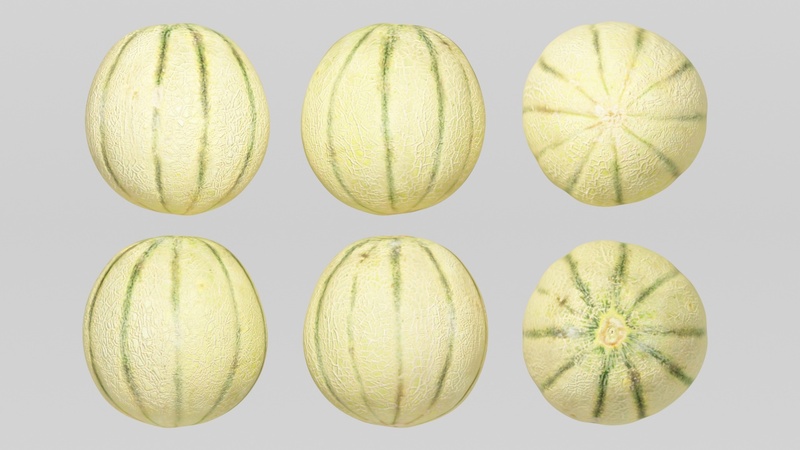 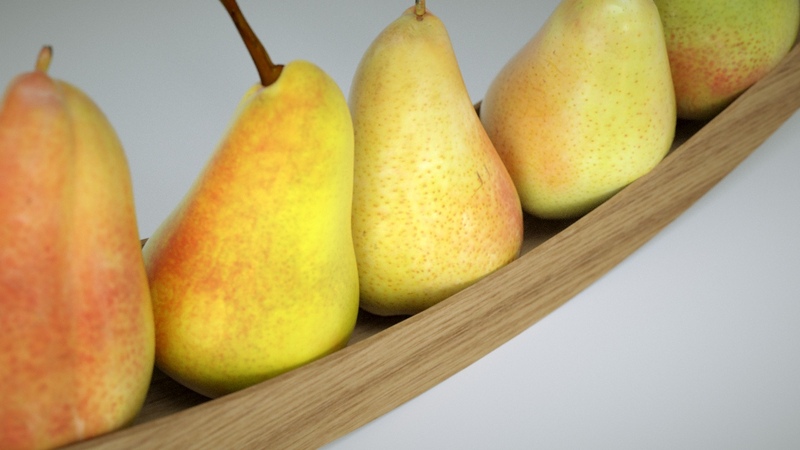 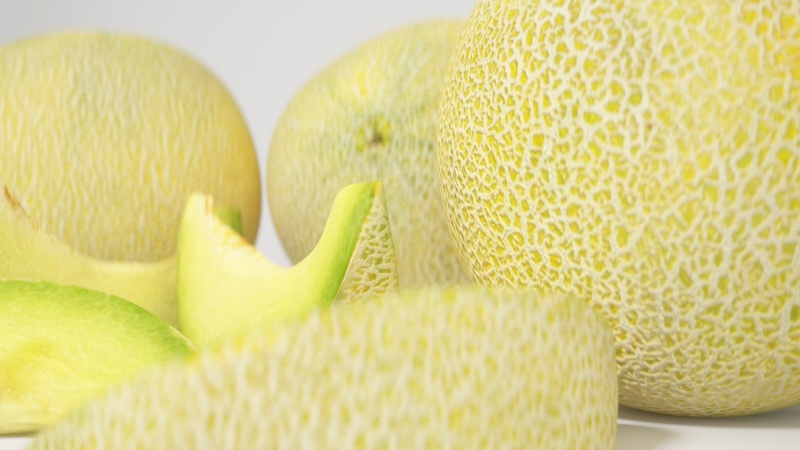 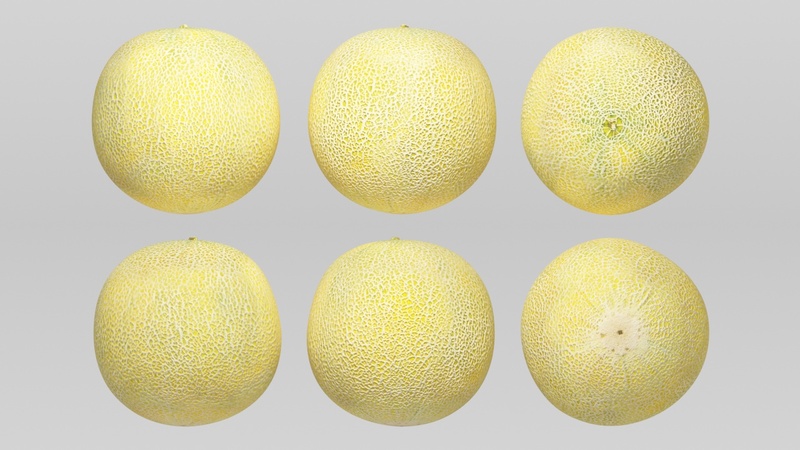 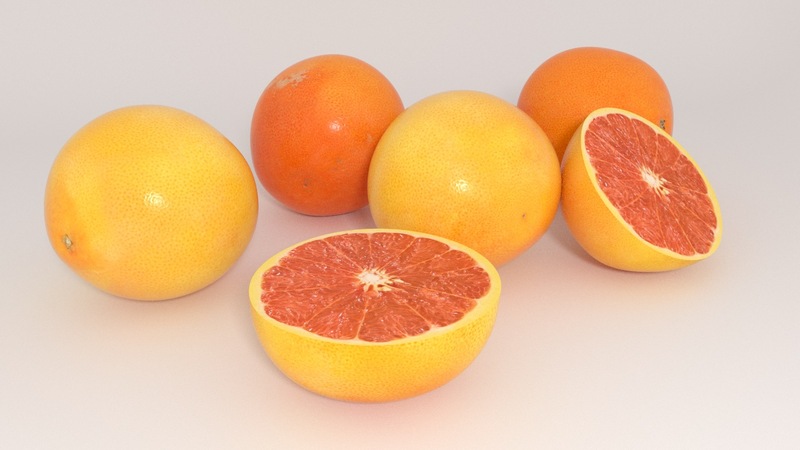 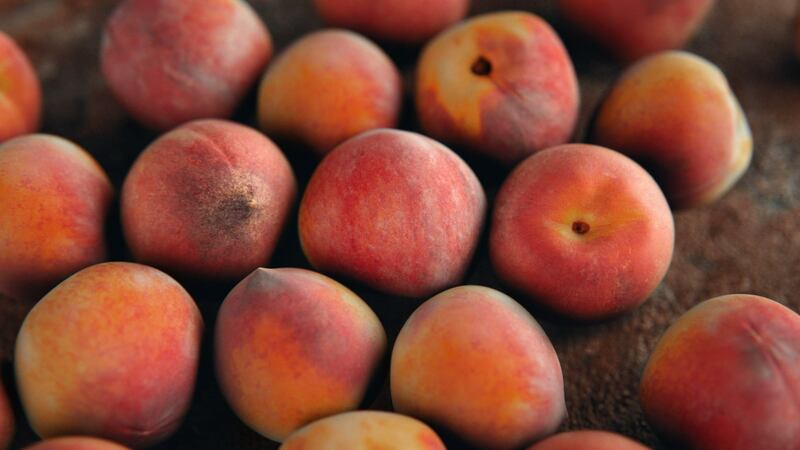 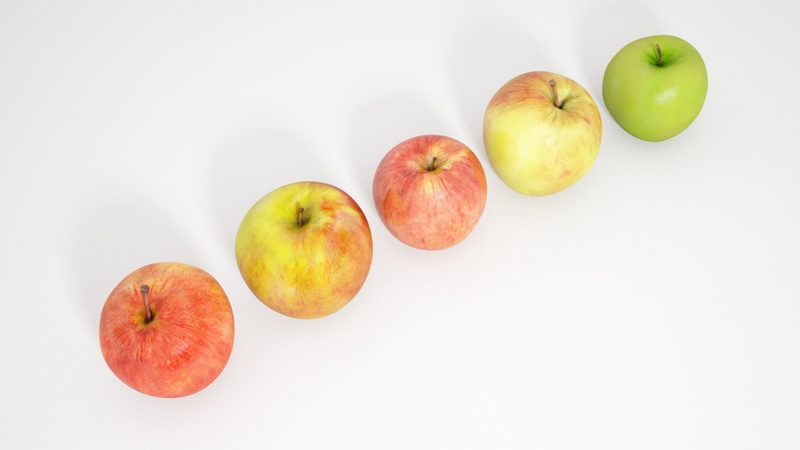 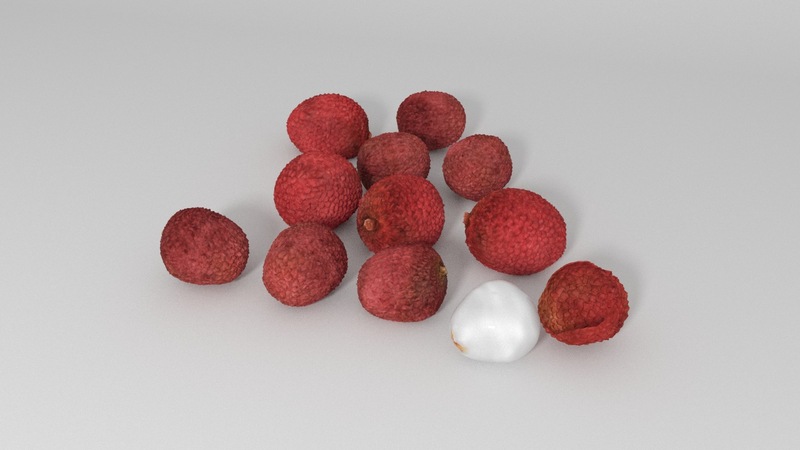 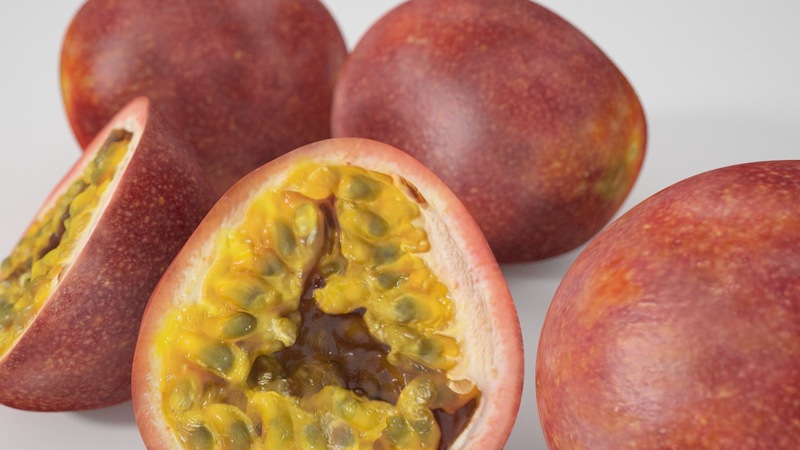 Load fruits models directly into Photoshop or other 3d apps with OBJ import. 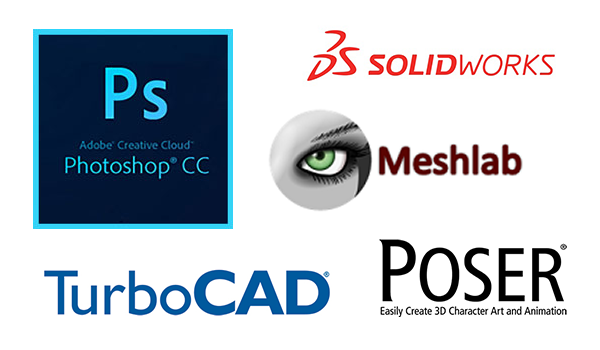 For detailed OBJ compatibility, please check your 3d application documentation. 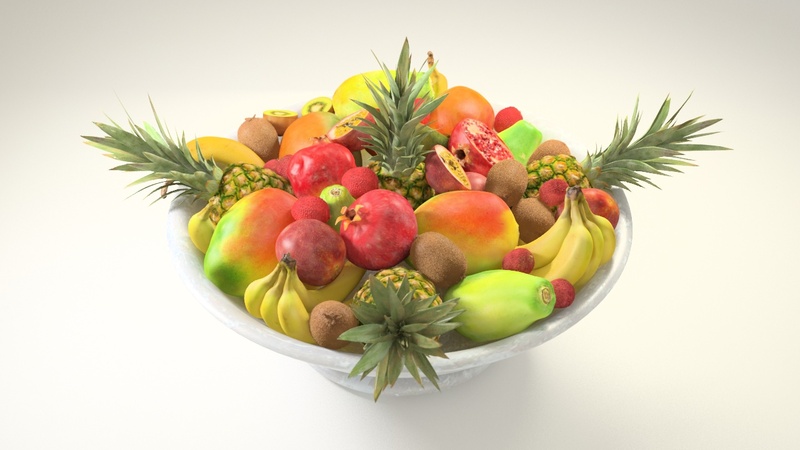 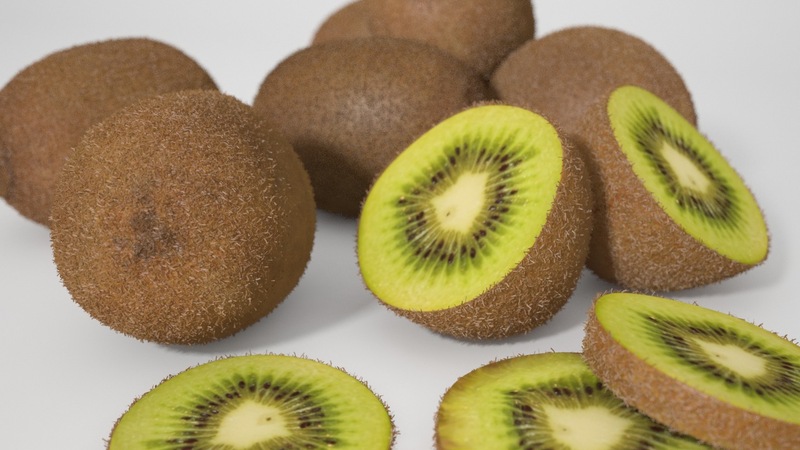 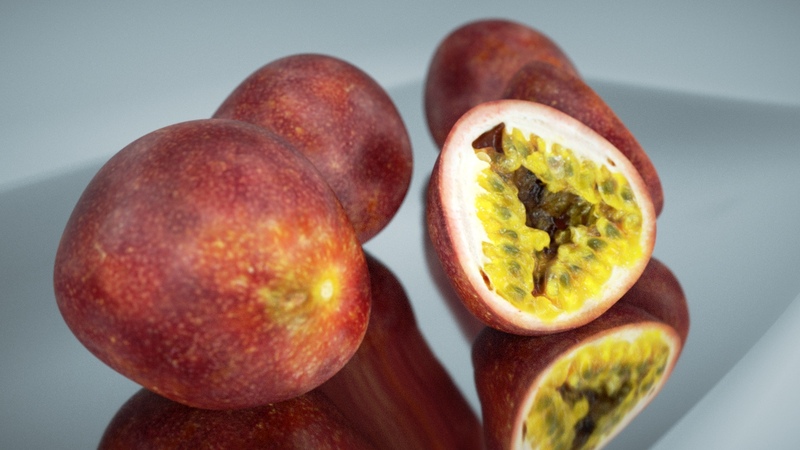 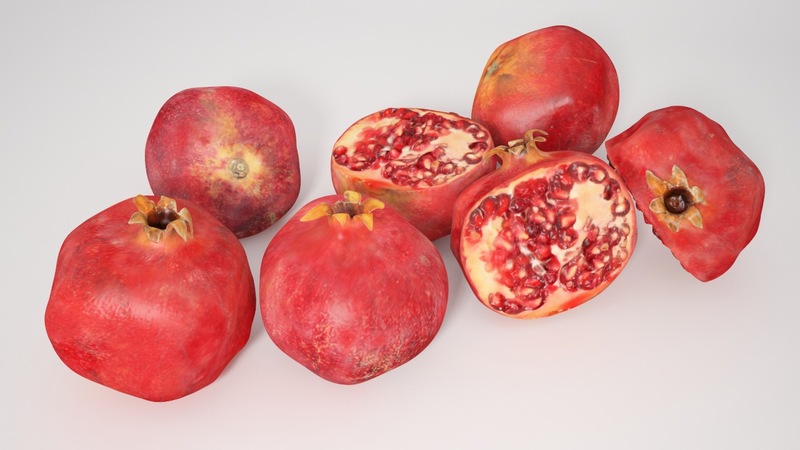 The FBX version of Real Fruits includes all single fruit models and arrangements as FBX 2012 prepared files, including textures and materials. 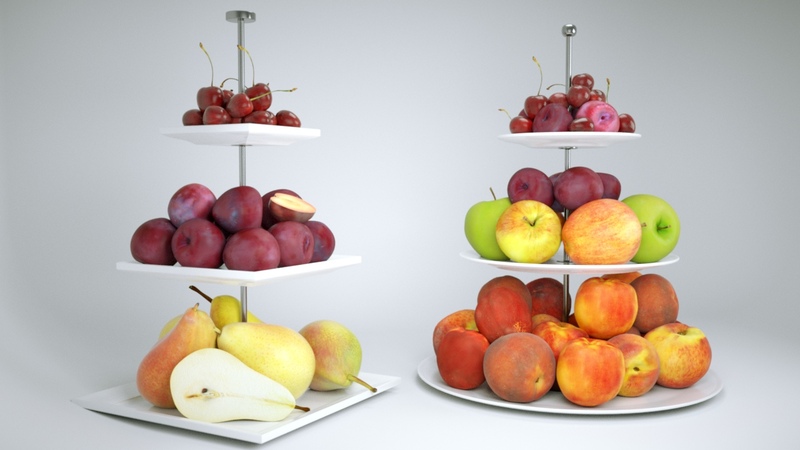 You choose: The single product REAL FRUITS or the full VP COMPLETE Bundle with ALL VP Products including REAL FRUITS and many more.